Tard kagán részletesen ismertette Győrkáta, Kővárkáta, Gyanakáta, Szakakáta, Szalmakáta, Karakun-káta, Tenyőkáta, Záporkáta, Ordoszkáta, Boroskáta és Nagypálykáta kiépítését. Bulgária közelében, Al-Dunától északra helyezkedett el aJazi-Kapan (Barna Kapán) törzs. Magyarország közelében, azaz a Kárpátoktól keletre, a Szeret és a Prut folyó mentén telepedett meg a Kabuksin-Jula (Fahéjszínú Jula) törzs. Az első két törzs besenyői törtek be többször is Magyarországra. (A Jula törzsnév egyébként a magyar gyula méltóságnévvel egyeztethető.) Kelet felé a harmadik tartomány a Javdi-Erdim (Fénylő Erdim) törzs területe volt, a Dnyeszter és a Bug vidékén, az oroszoknak adót fizető különféle szláv törzsek közelében. A Dnyeszter jobb partján, a folyó átkelőinél hat elhagyott erőd volt besenyő kézen, ezek nevében is szerepel a török kataj „erődítmény" szó: pl. Kraknakataj „Őrző-vár", Szakakataj „Cölöp-vár". Ezek az erődítmények védték az Erdim törzs szállásait a szlávok, magyarok, bolgárok vagy bizánciak esetleges támadásától. Bars vezér követségbe ment a szlávok királyához egy feldíszített fehér lóval, aranyos nyereggel, ezüst zabolával. A három tyumen kabar harcossal azonban nem lehetett bírni. Az őslakó kabarok tanácsára megrohanták a szlávok településeit és a szláv király, aki sokat nyugtalanította az őslakó kabarokat, menekülni kényszerült. Álmos, miután a Tarján törzset előre küldte a szorosokon, a szekértáborral és Gyarmat törzsének maradványaival vette fel a harcot a besenyő-bolgár martalóc csapatokkal. De a támadást csak nehezen tudták kivédeni. Barkó törzsének vitézei mentették meg. Barkóék ezzel nagy tekintélyre tettek szert. "Acsád fia, a honfoglalás idejében Árpád vezértől, ki seregét a Nyárádig vezette, Kács (Casu) vidékén nagy földet kapott szállásul s utóbb a Nyárád forrásánál az Örsúr várának nevezett erősséget építtette." ...Mánd, Ed, Edömér, Szovárd, Kadocsa, Huba, Vajta, Acsád és Őrsur. kun vezérek, tudniillik Ed, Edömén, Et, Bors apja Böngér, Örsur apja Ócsád, Vajta, kitől a Baracska-nemzetség származik, Alaptolma apja Ketel, midőn látták Álmos vezér kegyességét, amelyet az oroszok irányában tanúsított, lába elé borulva önként meghódoltak Álmos vezérnek ezekkel a szavakkal: "A mai naptól fogva legvégső nemzedékünkig urunkká és parancsolónkká választunk, és ahová a szerencséd visz, mindenüvé veled megyünk." ...a diadal után Szovárd, Kadocsa meg Vajta onnan továbbindulva a bolgár határ felé nyomultak, és a Panyóca vize mellett ütöttek tábort. Győztes harcokat vívtak az alánokkal együtt 934-ben Konstantinápolyban, 934 őszén pedig a besenyőkkel együtt Macedóniában. Itt azonban a besenyők egy része átpártolt Bizánchoz és császári testőrök lettek. A Hungarian army allied with Pechenegs, defeats the Byzantine army, allied probably with the Bulgarians at an unknown place, maibe todays Belgrade. 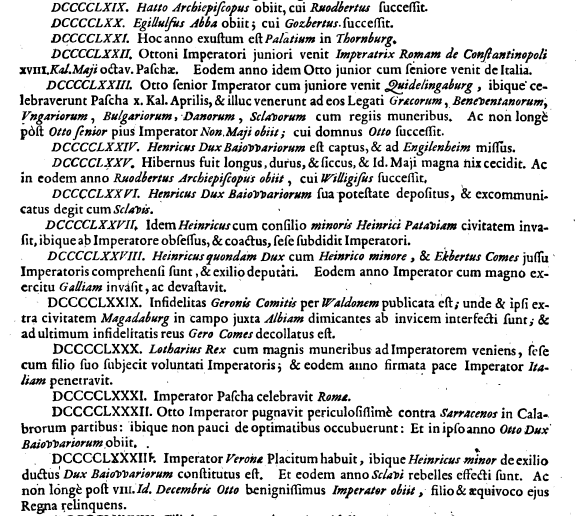 After the battle the Hungarians pillage the outskirts of Constantinople, forcing the emperor to pay them tribute. az arabok két oldalról támadtak, keletről, az Atil folyón túlról és délről, a derbenti kapunál, Magyarkánál és Magasznál. 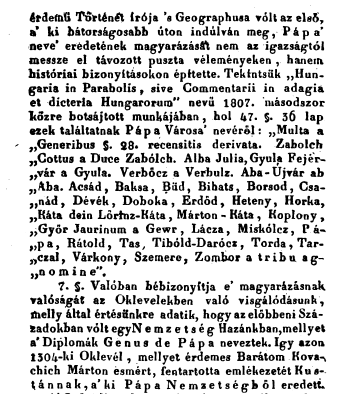 kworum 'igazság, mérték'. kwasz- 'gazd-ag, kovász'. 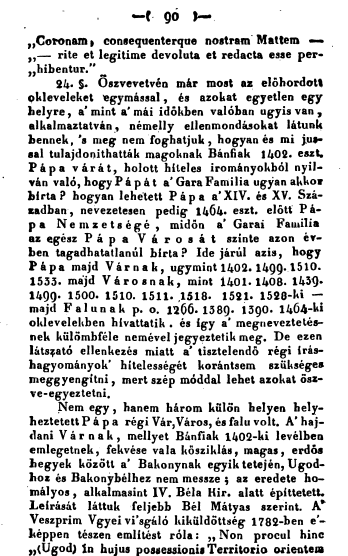 Győrben 15 gönc (kb. 12 mázsa) arany gyűlt össze 10 avar-gyűrű kirablása tehát körülbelül 150 gönc aranyat jelentett Nyugatnak. Avar Kaganátus ... a Kárpát-medence kizárólagos uraiként ide helyezték központjukat. 672: Beginning of the 'seven year' Arab siege of Constantinople. August 23, 676: Birth of Charles Martel (Charles the Hammer) in Herstal, Wallonia, Belgium, as the illegitimate son of Pippin II. Serving as Mayor of the Palace of the kingdom of the Franks, Charles would lead a force of Christians that turn back a Muslim raiding party near Poitiers (or Tours) which, according to many historians, would effectively halt the advance of Islam against Christianity in the West. 680: Birth of Leo III the Isaurian, Byzantine Emperor, along the Turkish-Syrian border in the Syrian province of Commagene. Leo's tactical skills would be responsible for turning back the second Arab Muslim siege of Constantinople in 0717, shortly after he is elected emperor. 688: Emperor Justinian II and Caliph al-Malik sign a peace treaty making Cyprus neutral territory. For the next 300 years, Cyprus is ruled jointly by both the Byzantines and the Arabs despite the continuing warfare between them elsewhere. 691: Birth of Hisham, 10th caliph of the Umayyad Dynasty. It is under Hisham that Muslim forces would make their deepest incursions into Western Europe before being stopped by Charles Martel at the Battle of Poitiers in 0732. 698: Muslims capture Carthage in North Africa. 700: Muslims from Pamntelleria raid the island of Sicily. 711: With the further conquest of Egypt, Spain and North Africa, Islam included all of the Persian empire and most of the old Roman world under Islamic rule. Muslims began the conquest of Sindh in Afghanistan. 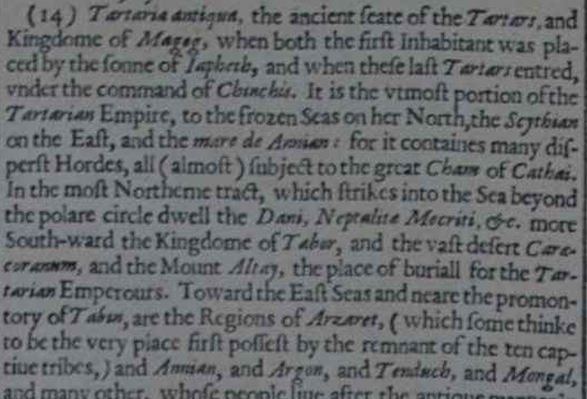 April 711: Tariq ibn Malik, a Berber officer, crosses the strait separating Africa and Europe with a group of Muslims and enters Spain (al-Andalus, as the Muslims called it, a word is etymologically linked to "Vandals" or Andalusia). The first stop in the Muslim conquest of Spain is at the foot of a mountain that comes to be called Jabel Tarik, the Mountain of Tarik. Today it is known as Gibraltar. At one time the Berbers had been Christians but they recently converted in large numbers to Islam after the Arab conquest of North Africa. July 19, 711: Battle of Guadalete: Tariq ibn Ziyad kills King Rodrigo (or Roderic), Visigoth ruler of Spain, at the Guadalete River in the south of the Iberian peninsula. Tariq ibn Ziyad had landed at Gibraltar with 7,000 Muslims at the invitation of heirs of the late Visigoth King Witica (Witiza) who wanted to get rid of Rodrigo (this group includes Oppas, the bishop of Toledo and primate of all Spain, who happens to be the brother of the late king Witica). Ziyad, however, refuses to turn control of the region back over to the heirs of Witica. Almost the entire Iberian peninsula would come under Islamic control by 718. 712: Muslim governor of Northern Africa Musa ibn Nusayr follows Tariq ibn Ziyad with an army of 18,000 as reinforcements for the conquest of Andalusia. Musa's father had been a Catholic Yemenite studying to be a priest in Iraq when he was captured in Iraq by Khalid, the "Sword of Islam," and forced to choose between conversion or death. This invasion of Iraq had been one of the last military orders given by Muhammed before his death. 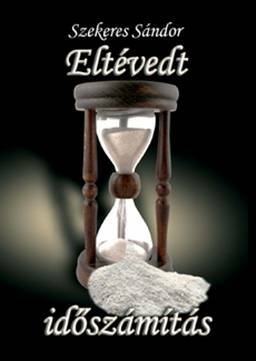 714: Birth of Pippin III (Pippin the Short) in Jupille (Belgium). Son of Charles Martel and father of Charlemagne, in 0759 Pippin would capture Narbonne, the last Muslim stronghold in France, and thereby drive Islam out of France. 715: By this year just about all of Spain is in Muslim hands. The Muslim conquest of Spain only took around three years but the Christian reconquest would require around 460 years (it might have gone faster had the various Christian kingdoms not been at each other' throats much of the time). Musa's son, Abd el-Aziz, is left in charge and makes his capital the city of Seville, where he married Egilona, widow of king Rodrigo. Caliph Suleiman, a paranoid ruler, would have el-Aziz assassinated and sends Musa into exile in his native Yemen village to live out his days as a beggar. 716: Lisbon is captured by Muslims. 717: Cordova (Qurtuba) becomes the capital of Muslim holdings in Andalusia (Spain). 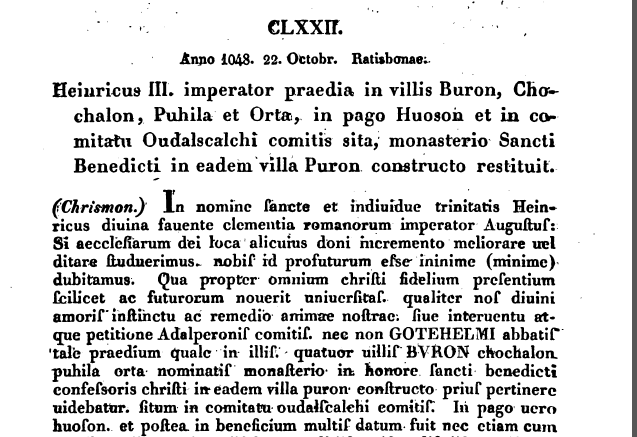 717: Leo the Isaurian, born along the Turkish-Syrian border in the Syrian province of Commagene, revolts against the usurper Theodosius III and assumes the throne of the Byzantine Empire. August 15, 717: Second Siege of Constantinople: Taking advantage of the civil unrest in the Byzantine Empire, Caliph Sulieman sends 120,000 Muslims under the command of his brother, Moslemah, to launch the second siege of Constantinople. Another force of around 100,000 Muslims with 1,800 galleys soon arrives from Syria and Egypt to assist. Most of these reinforcements are quickly destroyed with Greek Fire. Eventually the Muslims outside Constantinople begin to starve and, in the winter, they also begin to freeze to death. 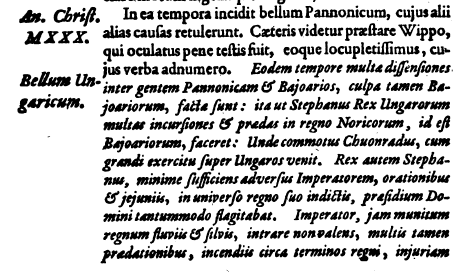 Even the Bulgarians, usually hostile to the Byzantines, send a force to destroy Muslim reinforcements marching from Adrianopolis. August 15, 718: Muslims abandon their second siege of Constantinople. Their failure here leads to the weakening of the Umayyad government, in part because of the heavy losses. It is estimated that of the 200,000 soldiers who besieged Constantinople, only around 30,000 made it home. Although the Byzantine Empire also sustains heavily casualties and loses most its territory south of the Taurus Mountains, by holding the line here they prevent a disorganized and militarily inferior Europe from having to confront a Muslim invasion along the shortest possible route. Instead, the Arabic invasion of Europe must proceed along the longer path across northern Africa and into Spain, a route which prevents quick reinforcement and ultimately proves ineffective. 719: Muslims attack Septimania in southern France (so named because it was the base of operations for Rome's Seventh Legion) and become established in the region known as Languedoc, made famous several hundred years later as the center of the Cathar heresy. July 09, 721: A Muslim army under the command of Al-Semah and that had crossed the Pyrenees is defeated by the Franks near Toulouse. Al-Semah is killed and his remaining forces, which had previously conquered Narbonne, are forced back across the Pyrenees into Spain. 722: Battle of Covadonga: Pelayo, (690-737) Visigoth noble who had been elected the first King of Asturias (718-0737), defeats a Muslim army at Alcama near Covadonga. This is generally regarded as the first real Christian victory over the Muslims in the Reconquista. 724: Hisham becomes the 10th caliph of the Umayyad Dynasty. It is under Hisham that Muslim forces make their deepest incursions into Western Europe before being stopped by Charles Martel at the Battle of Poitiers in 0732. 724: Under the command of Ambissa, Emir of Andalusia, Muslim forces raid southern France and capture the cities of Carcassone and Nimes. Primary targets in these and other raids are churches and monasteries where the Muslims take away holy objects and enslave or kill all the clerics. 725: Muslim forces occupied Nimes, France. 730: Muslim forces occupy the French cities of Narbonne and Avignon. October 10, 732: Battle of Tours: With perhaps 1,500 soldiers, Charles Martel halts a Muslim force of around 40,000 to 60,000 cavalry under Abd el-Rahman Al Ghafiqi from moving farther into Europe. Many regard this battle as being decisive in that it saved Europe from Muslim control. Gibbon wrote: "A victorious line of march had been prolonged above a thousand miles from the rock of Gibraltar to the banks of the Loire; the repetition of an equal space would have carried the Saracens to the confines of Poland and the Highlands of Scotland; the Rhine is not more impassable than the Nile or Euphrates, and the Arabian fleet might have sailed without a naval combat into the mouth of the Thames. Perhaps the interpretation of the Koran would now be taught in the schools of Oxford, and her pulpits might demonstrate to a circumcised people the sanctity and truth of the revelation of Muhammed." Others, though, argue that the battle's importance has been exaggerated. The names of Tours, Poitiers, and Charles Martel do not appear in the Arab histories. They list the battle under the name Balat al-Shuhada, the Highway of Martyrs, and is treated as a minor engagement. 735: Muslim invaders capture the city of Arles. 737: Charles Martel sends his brother, Childebrand, to lay siege to Avignon and drive out the Muslim occupiers. Childebrand is successful and, according to records, has all the Muslims in the city killed. 739: Already having retaken Narbonne, Beziers, Montpellier, and Nimes during the previous couple of years, Childebrand captures Marseille, one of the largest French cities still in Muslim hands. June 08, 741: Death of Leo III the Isaurian, Byzantine Emperor. Leo's tactical skills were responsible for turning back the second Arab Muslim siege of Constantinople in 0717, shortly after he was elected emperor. October 22, 741: Death of Charles Martel (Charles the Hammer) in at Quierzy (today the Aisne county in the Picardy region of France). As Mayor of the Palace of the kingdom of the Franks, Charles had led a force of Christians that turned back a Muslim raiding party near Poitiers (or Tours) which, according to many historians, effectively halted the advance of Islam against Christianity in the West. April 04, 742: Birth of Charlemagne, founder of the Frankish Empire. 743: Death of Hisham, 10th caliph of the Umayyad Dynasty. It was under Hisham that Muslim forces made their deepest incursions into Western Europe before being stopped by Charles Martel at the Battle of Poitiers in 0732. 750: The Arabian Nights, a compilation of stories written under the reign of the Abbasids, became representative of the lifestyle and administration of this Persian influenced government. 750 - 850: The Four Orthodox Schools of Islamic Law were established. 750: The Abbasids assume control of the Islamic world (except Spain, which falls under the control of a descendant of the Umayyad family) and moved the capital to Baghdad in Iraq. The Abbasid Caliphate would last until 1258. September 755: Abd al-Rahman of the Umayyad dynasty flees to Spain to escape the Abbasids and would be responsible for creating the "Golden Caliphate" in Spain. 756: The Emirate of Cordova is established by Umayyad refugee Abd al-Rahman I in order to revive the defeated Umayyad caliphate which had been destroyed in 0750 by the Abbasids. 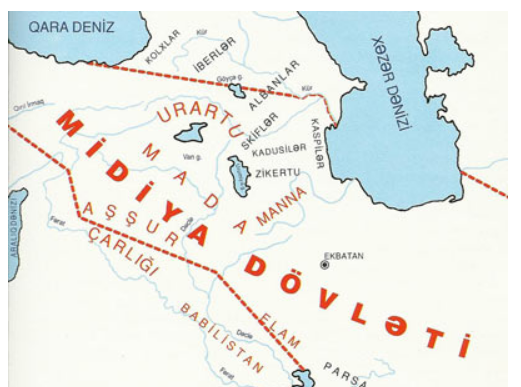 Cordova would become independent of the Abbasid Empire and represents the first major political division within Islam. The political and geographic isolation of the Cordova Caliphate would make it easier for Christians to decisively conquer it despite their failures elsewhere, although this would not be completed until 1492. 759: Arabs lose the city of Narbonne, France, their furthest and last conquest into Frankish territory. In capturing this city Pippin III (Pippin the Short) ends the Muslim incursions in France. 768: Pepin's son, Carolus Magnus (Charlemagne), succeeded his father and became one of the most important European rulers of medieval history. September 24, 768: Death of Pippin III (Pippin the Short) at Saint Denis. Son of Charles Martel and father of Charlemagne, in 759 Pippin captured Narbonne, the last Muslim stronghold in France, and thereby drove Islam out of France. 778: Charlemagne, King of the Franks and soon-to-be Holy Roman Emperor, is invited by a group of Arab leaders in northeastern Spain to attack Abd al-Rahman I, ruler of the Emirate of Cordova. Charlemagne obliges them, but is forced to retreat after only getting as far as Saragossa. It is during his march back through the Pyrenees that his forces are set upon by Basques*. Among the many who die is the war leader Roland from Breton, killed in Roncevalles, whose memory has been preserved in the "Chanson de Roland," an important epic poem during the Middle Ages. 785: The Great Mosque in Cordoba, in Muslim controlled Spain, was built. 787: Danes invade England for the first time. 788: Death of Abd al-Rahman I, founder of the Umayyad Emirate of Cordova. His successor is Hisham I. 792: Hisham I, emir of Cordova, calls for a Jihad against the infidels in Andalusia and France. Tens of thousands from as far away as Syria heed his call and cross the Pyrennes to subjugate France. Cities like Narbonne are destroyed, but the invasion is ultimately hated at Carcassone. 796: Death of Hisham I, emir of Cordova. His successor is his son, al-Hakam, who would keep up the jihad against the Christians but would also be forced to contend with rebellion at home. 799: The Basques rise in revolt and kill the local Muslim governor of Pamplona. 800: North Africa falls under the rule of the Aghlabi dynasty of Tunis, which would last until 909. 800 - 1200: Jews experience a "golden age" of creativity and toleration in Spain under Moorish (Muslim) rule. 800: Ambassadors of Caliph Harunu r-Rashid give keys to the Holy Sepulcher to the Frankish king, thus acknowledging some Frankish control over the interests of Christians in Jerusalem. 801: Vikings begin selling slaves to Muslims. Bõs halála után Gyõr és Bécs gazdag templomait Erik kirabolta. Az avar papok jelentik a rablásokat KESZT aranyasszonynak (Bõs özvegyének). - Nagy Károly a rablott kincsket emberei között szétosztotta. - A pápa 796.-ban térítõket küld (még azzal sem volt tisztában, milyen hitet vallanak az avarok, azaz miért kellene õket téríteni a tizeden kívül), akik az avar egyházat szintén kirabolják. (A megmaradt relikviákat, ha arany, ezüst, akkor elviszik). - Fekete Arnó 785.-821. között egyházi õrségeket szervezett az avaroknál. Õt 821.-ben azonban megölik, ekkor Adalram, Theotmár, Luprad, Alvin érsekek újabb kincsrablókat -fegyveres "lovagokat"- akik ölnek, ha kell- küldenek Avariába. Fekete Arnó jelentette Vatikánban Bõs meggyilkolását. A baszkok a frankok utóvédeit a spanyol hódítás idején megtámadták és a fõcsapatokban is kárt okoztak. Nagy Károly ebbõl a helyzetbõl nehezen menekült meg. A frankok végül 782.-ben egyeztek meg az avarokkal, mert az Ibbsnél betörõ frankokat Bõs legyõzte, A frankok a kialakult határt elismerték. A bajorokat viszont a frankok gyõzik le. Bõs Bécsbe költözött. Károly fia megtámadta Isztriát 791. aug. 23.-án és ennek õrségét megölte. - Hiába vitték elé az Uruki-Mani Bibliát: békesség Nektek, hiába ajánlották fel a megadást Isztria védõi. z uruki-mani püspök Bécsből Győrbe tette át a székhelyét, a jugoros-mani püspök székhelye pedig a Van-tó melletti Tuspa városából az ősmagyar központba Magyarkára került. Nagy Károly az avar õrség visszavonását követelte az Ennstõl az Ibbshez. A pápa ebben is támogatta Károlyt. Az Elbán túli szláv papok az avarok ellen lázítottak ebben az idõben is. - Bõs Tudun megtagadta Károly követelésének teljesítését, egy szerzõdésszegés okán. Marosszéki és szegedi tyumenyeket irányított Pozsony térségébe Bõs. megtбmadta az avarok Encs ?rsйgйt is, de Oposur fia, Jenő vezйr az Encs йs Ibos folyуk kцzцtt megsemmisнtette a seregйt. A legy?zцtt frank sereg maradvбnyai megfutamodtak. Ekkor egy baszk hнr-szerz? jelentette, hogy Edemen ifjъsбgi fejedelem csapatai ellen Magyarka irбnyбban felvonulnak a mу-rok. A hнr igaz volt. Jen?t visszarendeltйk a Kaukбzusba. A pбpasбg a kordovai emнrsйggel tervbe vette a Van-magyarkai pьspцksйg megtбmadбsбt йs B?s tu-dun karatбn ?rsйgйnek megsemmisнtйsйt az бrulу longobбrd hercegek бltal. Szerzetesek ъtjбn bevontбk a tervbe az Elbбn tъli szlбvokat is, hogy azok is vegyenek rйszt a szбsz fejedelemsйgek йs a boroszlу-iglуi avar ?rsйgek elpusztнtбsбban. Ilyen el?kйszнtйs utбn kцvetelte Kбroly, hogy az avarok ?rsйge az Encs fo-lyу vonalбtуl vonuljon vissza az Ibos folyуig. Fekete Arnó 785-ben Sóvár (Salzburg) érseke lett. Rómával megállapodott, hogy az Avar Birodalom népei, rokona Bős-Tudun révén áttér az uruki-mani hitre, tizedet fizetnek azzal a feltétellel, hogy minden 24. pápa a hun-avar-magyar származású legyen. Fekete Arnó megszervezte, hogy az őskeresztény uruki-mani egyházakba magyar anyanyelvű egyházi személyek kerüljenek, így az Encs-Ibos-Bécs körzetéből hozott be avar származású felszentelt kispapokat, akik a magyarhoz nagyon közel álló nyelven beszéltek. Nagy Károly hódításait, az avarokat, fehér magyarokat ért sérelmeket Fekete Arnó kifogásolta Rómában, de a változó pápák csak annyit mondtak, hogy ők is a világi hatalmaktól függnek. Mainzban az avarok ellen meghirdetett „Szent Háború” kapcsán rájött, hogy az avar papok miért nem emelkedhettek a papi ranglistán. 776-ban elfoglalták a közös avar-longobárd birtokot: Isztriát és újból Karatánföld felé fordultak. Ekkor IV. Csaba, Tard kagán és az ifjú Bős tudun követei 782-ben megjelentek a szárazföldi Lipparingben tartott birodalmi gyűlésen és elismerték Isztria bekebelezését, de kifogásolták, hogy az Elbán túli szlávokat ellenük lázítják. A frankok elismerték az Encs folyó menti 680. évi határvonalat, de kérték az avar-longobárdok befogadását Avariába. A pápaság titokban arra kérte Nagy Károlyt, hogy Bős tudun országát tegye hűbéresévé s ezáltal természetesen pápai adófizetővé. ... Ailó a Kékhegynél áruló lett, de nem átallott kérőként jelentkezni ... Mikó tárkányfejedelem erődítménnyé építtette ki Bécs környékét. A Szent kő az Avar birodalom elsöprése és kirablása után Bizáncba került. Az Arnó család liliomos koronát készíttetett és 798-ban Fekete Arnó már azzal a céllal őrizte, hogy ha Pannon földjén királlyá akarnak koronázni valakit, akkor azt azzal tegyék. Fekete Arnó hatására az ősi uruki-mani hitű avarok, hunok, magyarok elismerték a pápaság intézményét. A pápai tizedek megfizetését, hogy „minden út Rómába vezet” önkéntes alapokra helyezte. Ez nem tetszett Nagy Károlyéknak. Fekete Arnót Sóváron (Salzburg) 821-ben meggyilkolták. Adalramot, gyilkosság előkészítőjét Jenő pápa Salzburg érsekévé nevezte ki. A rу-mai pбpa is, a konstantinбpolyi pбtriбrka is helyeselte B?s tudun legy?zйsйt йs megцletйsйt, ... B?s a leger?sebb juguros hadsereggel vonult fel az Encshez. De mindent megzavart, hogy Ajilу ?rparancsnok, B?s veje бrulбst kцvetett el. Kйkhegy avar ?rsйgйt бtjбtszotta a Kбrolyhoz бtpбrtolt longobбrdok kezйre. B?s tudun a felvonulу kevevбriak felйt Kalбgйra irбnyнtotta. Ezek jъnius 29-йn Vid ?rsйgnйl megsem-misнtettйk a longobбrd kirбlysбg hadait. Utбna mйg 3 hуnapig harcoltak az isztriaiakkal. A kazárok a magyarok szövetségét az Edemen fiának, Ügyeknek a vezetése alatt álló új törzsszövetség ellen vezényelték, de azok a Kazár birodalom ellen fordultak, s 860-ban legyőzték a kazár sereget. A kazár szövetségben gyakoriak voltak a palotaforradalmi és más egyéb megmozdulások. A 825-ös kazár vereség után Edemen a Megyer törzset a Kulon völgyéből Tenis tartományba vándoroltatta. A többi törzs is fokozatosan követte Megyer törzsét a Ten (Don), Tenis (Donyec) és Tenisur (Dnyeper) vidékére. 850-ben a Nyék törzs is kiszakadt a kazár birodalomból. áttörték a Magyar Törzsszövetség védte Kazária déli védvonalát. 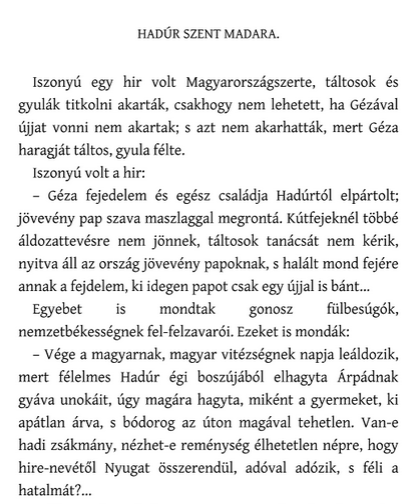 Edemen fivérei, Ond és Ellák is hősi halált haltak és Magyarka is elesett. III. Csaba felhívta a figyelmet arra, hogy Ordoszt, ahol a 100 kinaj család még mindig kiváltságokat élvez, elárasztotta a sárga hit. Kazária, ahol kezdetben ugor-magyar többségi hatalom volt, az aranyborjú fiainak a hatalma alá került. De annyi előnyünk még van, hogy legalább az ataiszi hitvilágot nem bántják. Az uruki hit püspökségét azonban elüldözték Van városából, majd Magyarkáról is, és az üldözöttek csak a szavárdiak Nyék törzsénél leltek menedéket. Így most ennek a püspöknek a fennhatósága alatt csak a Van-vári, a Magyarkai és a Győr-szavárdi öspörösség működik. A kiváló műveltségű Nazirt nem tekintik az aranyborjú-hit fiának. Ezért javasolja, hogy az Uruki püspök-séget a Tenisur vonalának védelmében helyezzék el. A böszörmények elleni fellépést azonban ellenezték, azzal az indokolással, hogy azok csak színleg vették fel a muzulmánok hitét, azért, hogy segítsék az Égi birodalom hírszolgálatát. Balizás böszörmény megköszönte az irántuk tanúsított bizalmat és kijelentette. Uruk-Erech városában még mindig vannak Nazirnak hívei. Békés természetükért a muzulmánok is tisztelik őket. Szolnok tárkány fejedelem fia, Alpár, az ifjú beavatottak nevében azt ajánlotta a Nagyszalának, hogy a következő Nagyszala idejéig építtessék ki Tenisur védelmi vonalát, hogy a nép életét erős kátavárak biztosítsák a kazár és a frank hódító törekvések ellen. A Nagyszala a kátavárak kiépítéséhez hozzájárult, de a szellemi kincsek közreadását elhalasztotta a vízöntők csillagképéig. A legnagyobb baj az volt, hogy Bõs tudun nagyon megbízott a Krisztus utódaként tisztelt római pápá-ban. Pedig hát Bõs tudun egymaga aligha tudta volna megvédeni az avarok birodalmát a megvadult fran-kok ellen. Bõs tudun legnagyobb lányát, Mencsért az eraviszkok vezére, Pilis vette feleségül. Pilist min-denki csak Eraviszkónak hívta. 790-ben lovával leesett az Atilla-hegyérõl, és abba belehalt. Utána Men-csért Ailó longobárd vezér vette feleségül. Ailó a Kékhegynél áruló lett, de nem átallott kérõként jelent-kezni. Mencsér elsõ házasságából született Zoltán nevû fia hiába tiltakozott a házasság ellen. 795-ben es-küdtek Kalágéban, de az itáliai vendégek az esküvõ hajnalán meggyilkolták. Késõbb a 792-es damaszkuszi emberirtás miatt elkezdõdött nagyarányú elvándorlások szükségessé tet-ték a 800-as Nagyszalát. Karakán-káta a Tenisur vonalán volt és Karakum-kátának is nevezték. 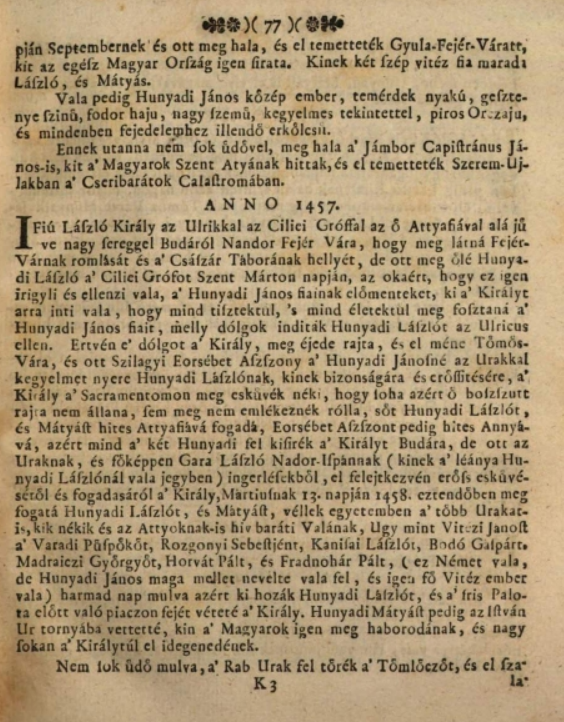 776-ban a frankok elfoglalták Isztriát, akkor közös avar-longobárd birtokot. Utána a Karatán-föld ellen fordultak. Ekkor IV. Csaba, Tard kagán és Bõs tudun követei 782 júliusában megjelentek a szász-földi Lippsringben tartott birodalmi gyûlésen. Nagy Károly még az arabokkal is szövetségre lépett, hogy hatalmát erõsítse, és közös harcot indítottak Saragossa kereszténysége ellen. Astúria keresztény fejedelemségét Károly legyõzte és Asturiát földig le-rombolta, de az emír Károly segítsége nélkül is elfoglalta Saragossát. A baszkok, akik titkos szövetségben állottak az avarokkal, Károly utóhadait megtámadták és lemészárolták, ezután a menekülõ fõcsapatot ül-dözõbe vették, és maga Károly is csak nehezen tudott megmenekülni. Ekkor, 782-ben kénytelen volt az avarokkal megegyezni. 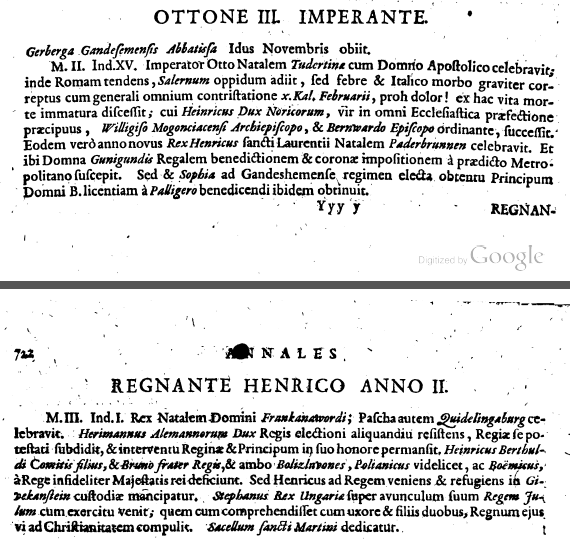 Then the lord king Charles entered Italy and proceeded to Friuli. 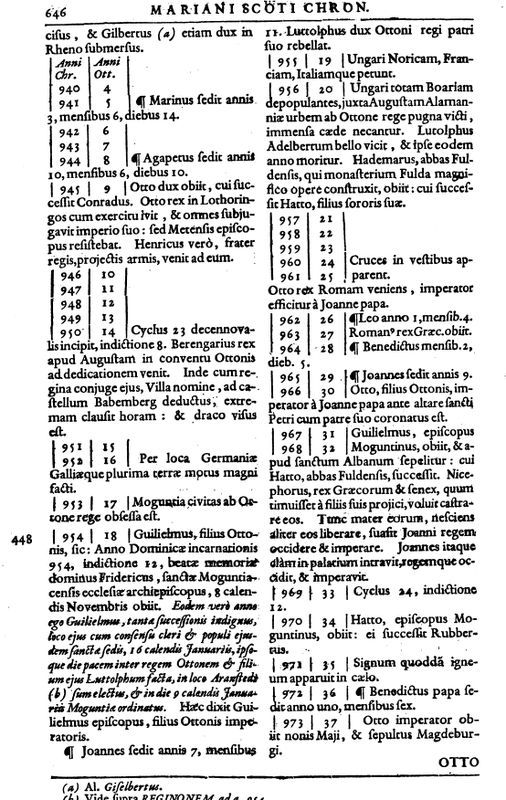 Rodgaud was killed and the lord king Charles celebrated Easter in the city of Treviso. 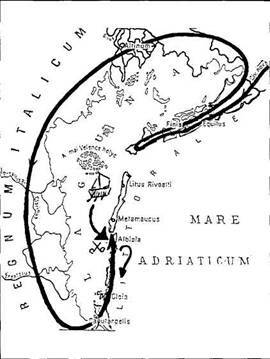 He distributed all the captured cities - Cividale, Treviso and the others which had rebelled - among Franks and returned to Francia, once again successful and victorious. At the beginning of the summer, when fodder was at last plentiful enough to enable an army to march, he decided to enter Saxony and to hold the general assembly there, just as he was accustomed to hold it every year in Francia. He crossed the Rhine at Cologne and came with the whole army of the Franks to the source of the Lippe, where he set up camp. He stayed there some tine and dealt with various matters; among other things, he gave audience and leave to depart to legates from Sigfred, king of the Danes, and to those sent to him, supposedly in the cause of peace, by the khagan and the jugur, princes of the Huns. A 792-es damaszkuszi emberirtás miatt sok menekülő érkezett a kasszu birodalomból a kazár uralom alatt álló területre...825 után Edemen a Megyer törzset a Kulon völgyéből Tenis tartományba vándoroltatta. A többi törzs is fokozatosan követte Megyer törzsét a Ten (Don), Tenis (Donyec) és Tenisur (Dnyeper) vidékére. 850-ben a Nyék törzs is kiszakadt a kazár birodalomból. Dél-Asszíriából, a keleti Szkítiából is sok menekült érkezett és az avar birodalomból menekülők is növelték a fősámáni törzs erejét. Edemen fia, Ügyek a menekülő harcosokból fősámáni sereget szervezett. Lebed Asszorügyekben megjelent Ügyek temetésén, ezért a kazároknál kegyvesztett lett. Edemen, Ond és Ellák. 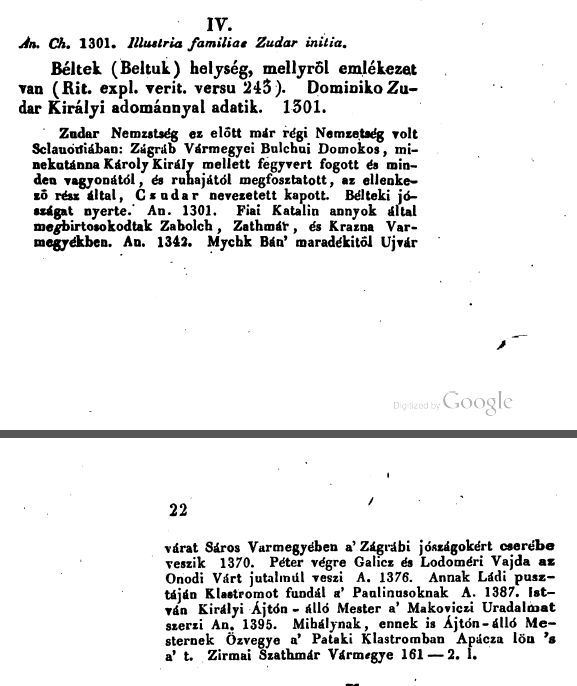 Közülük Ond és Ellák elvesztette a kazárok szövetségében, 825-ben, a Harun al Rasid unokája, Mamun kalifa ellen vívott magyarkai csatát. 680-ban foglalták el Káspivár-Magyarka-Sárhely vonalát. 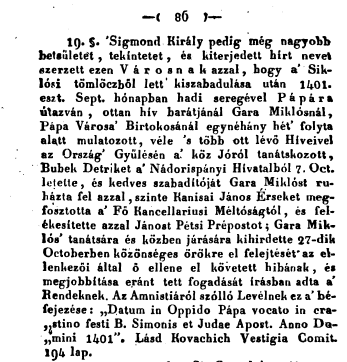 Amikor Csaba 792-ben Damaszkuszba lovagolt ..., a hírhedt damaszkuszi emberirtásban ő is életét vesztette. perzsa Szíbavajhi, minden idők legjelesebb arab nyelvésze volt, aki állítólag a kalifa udvarában kialakult konfliktusuk következtében halt meg 792-3 körül. King Bulan adopted Judaism in approximately the year 838, after supposedly holding a debate between representatives of the Jewish, Christian, and Muslim faiths. Ki is volt Hunyadi László? Hunyadi János (1407-1456) és Szilágyi Erzsébet (1410k.-1483k.) fia, László már fiatalon hadapródként teljesített szolgálatot több főúri családnál. Szülei gondos politikai, gazdasági és katonai nevelésben részesítették. Jobbára Erdélyben tartózkodott, hiszen a család várai, uradalmai ott helyezkedtek el. Már kora ifjúságától kedve részt vett apja törökellenes hadjárataiban és hősi harcaiban. A csatatereken tanulta a katonamesterség fortélyait és a hadvezetés művészetét. 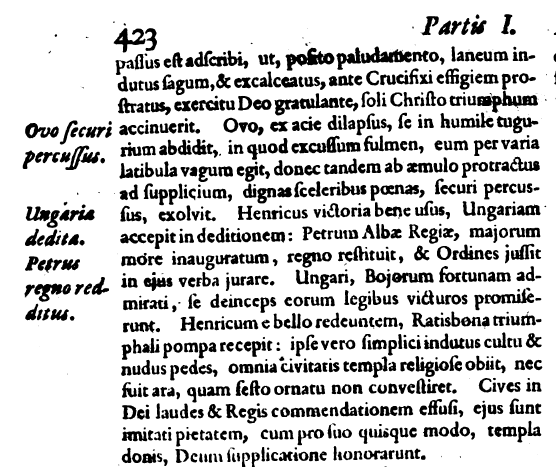 1452-től pozsonyi gróf és főispán, 1453-tól pedig horvát-dalmát bán lett. 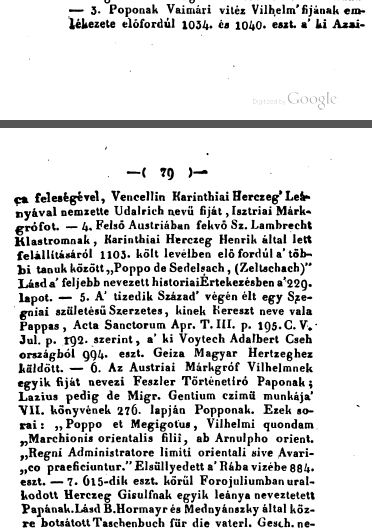 a Habsburg-párt vezetője, Cillei Ulrich (1406-1456) - aki V. László magyar király gyámja is volt - összeütközésbe került egy heves vita alkalmával a Hunyadiakkal. A királypártiak követelték Hunyadi Lászlótól a kezén lévő királyi várakat és azok jövedelmét, hogy haladéktalanul adja át nekik. Közben Cillei magát neveztette ki az ország főkapitányává. unyadi László ekkor kockázatos játszmába fogott azért, hogy országos tisztségeit megtarthassa, színleg behódolt a királynak a futaki országgyűlésen. Hunyadi László a királyt és nagybátyját, Cillei Ulrikot Nándorfehérvárra csalta. A királyt és Cilleit elválasztották főúri kíséretüktől. Így a védtelen Cilleit a Hunyadi-párt hívei - tisztázatlan körülmények között - meggyilkolták. Állítólag a vár átadása körüli vita volt az egyik alapja a merényletnek. 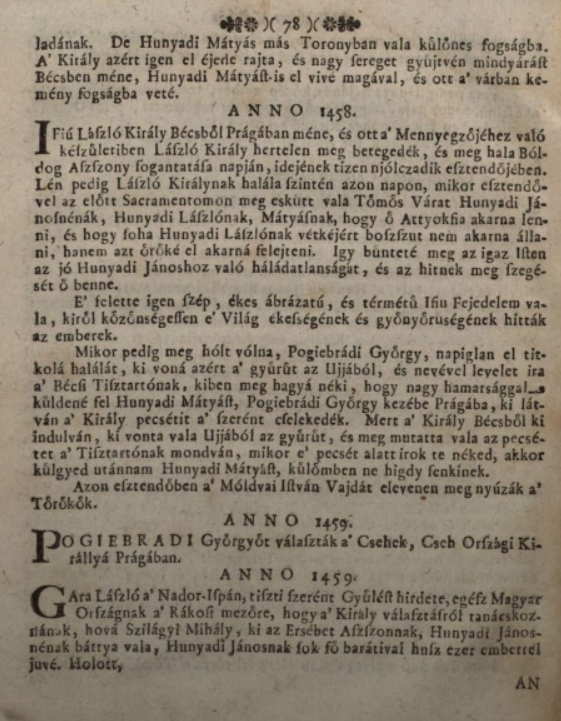 A gyilkosság 1456. november 9-én történt. A királyt Hunyadi Lászlóék a hatalmukba kerítették, és Temesvárra szállították. Ott László király felruházta Hunyadit a főkapitányi tisztséggel, és kinevezte főtárnokmesterré. Tehát látszólag megbocsátotta Lászlónak a merényletet. Állítólag a fiatal uralkodó megesküdött, hogy nem fogja bántódás érni a Hunyadi fiúkat. 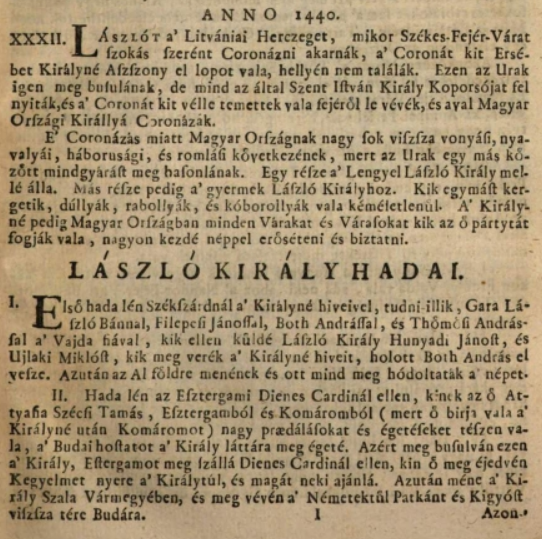 Hunyadi 1457 elején elkísérte a királyt Budára. Látszólag teljes volt az egyetértés közöttük. Mindez csak a látszat volt, a háttérben az összeesküvés szálait tovább fonták. Az összeesküvők meggyőzték a királyt Hunyadival szemben. 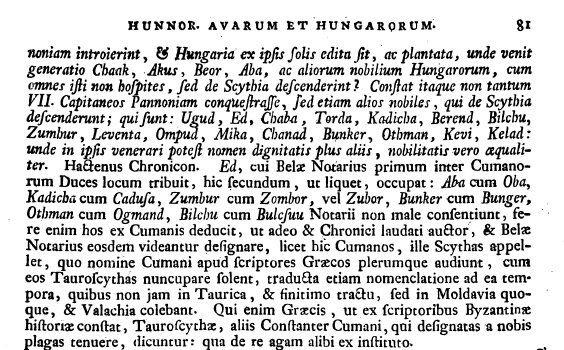 A fiatal uralkodó koholt vádak alapján 1457. március közepén lefogatta Hunyadi Lászlót. Minden törvényes formát mellőzve halálra ítélték. Majd március 16-án a budai Szent György téren bakó végzett pallosával a fiatal Hunyadival. A következő évben a hamvakat Gyulafehérvárra szállították, és apja mellé helyezték örök nyugalomra. A másik Hunyadi fiút, Mátyást pedig Csehországba száműzték. "Három törzsüknek a Bizáncban járt Bulcsú harka elmondása szerint egy főnöke volt, ők alkották a háborúban a magyarok előtt az elővédet, már 881-ben is így jelentek meg Bécs alatt"
894-ben Liüntika a kabarok élén harcolt a dunai bolgárok ellen, miközben Árpád a fősereggel a morvákkal szövetségben Pannónia és az alföldi bolgár végvidék ellen indult. 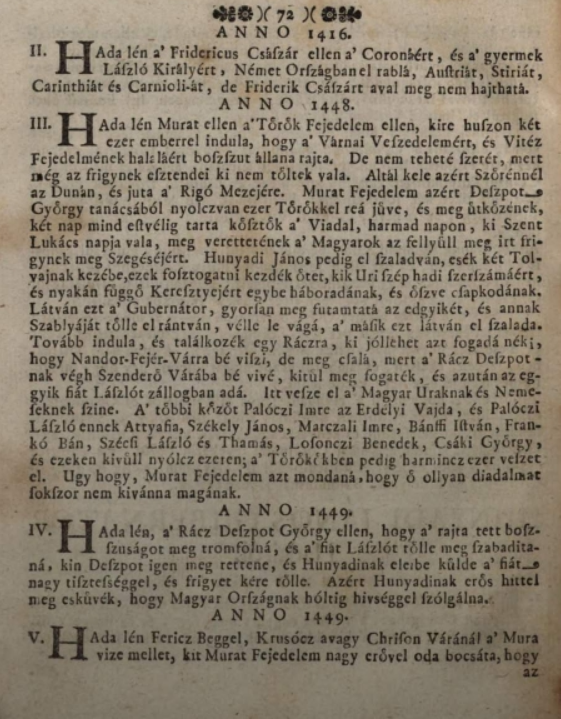 A honfoglalás után Morvaország ura lehetett, mert egy nagy morva vár a Thaya torkolata közelében, Bretslav (Lundenburg) 1054-ben Laventenburch néven fordul elő egy forrásban. "Simeon bolgár cár megtámadására. Árpád és Kusán, vagy Kusaly magyar vezérek hamar megegyeztek Szklérosz Nikétasz bizánci követtel és Árpád fiának, Leventének vezérlete alatt nagyobb sereget küldtek bolgár földre. A magyar harcosokat görög hajók szállították fel a Dunán a bolgár határra, mialatt a császári sereg dél felől nyomult Bolgáriába. Levente teljes győzelmet aratott Simeon fölött. Elfoglalta fővárosát, a Duna alsó szakaszához közel fekvő Pereszljavecet és lovasaival végigdúlta egész Bolgáriát, rengeteg foglyot ejtett, nagy zsákmányt szerzett. De a győzelem nemsokára vereségre fordult. Simeon szorultságában különbékét ajánlott a császárnak, ki barbár szövetségeseit rútul cserbenhagyva, nemcsak seregeit vonta vissza, hanem a magyarok átszállítására küldött hajókat is hazarendelte. Simeon most már teljes erővel támadt Leventének a győzelem után gondtalanul táborozó seregére s azt véres harcban tönkreverte." "Liüntika három győztes ütközet után visszavonult a bolgár területről és megkezdte csapataival a behatolást Erdélybe. Ekkor Symeon, a bolgár uralkodó, akinek valamilyen katonai sikerre volt szüksége, hogy a bizánciakkal szemben tárgyalási pozícióját megerősítse, besenyő segítséggel rajtaütött a kabarok még visszamaradt népén és a szállásaikat védő hátvéden"
magyarokkal egy nyelvű nemzet; a Magyarok a' régi Kúnok és Vár-Kúnok testvéreik. Mindkettő a 374-es évszámot használja az első bejövetel idejének, a másodikra pedig az 550-es esztendőt. egybe kötötték magukat (a későbbi már úgy fogalmaz: Álmos vezér alatt Etelközben telepedtek le 862. Három vár Budavára, Avarbástya és Kurtánvára hirdette a hun, az avar és a magyar honfoglalást. 902 Amikor a kazárok, a besenyőktől Magyarka védelmét követelték, Zala vitéz százada 902 tavaszán Csepel szigeten jelentkezett Árpádnál. „Csak 1001-ben fejezték be a Géza által megkezdett esztergomi bazilika építését, amelybe már érsekként tért haza. Még a belső festéseket végezték, amikor már megszervezték az esztergomi érsekség területét: Sasvár, Nyitra, Bars, Hont, Nógrád és Gömör esperességgel, amely mindig az uralkodó területének számított. A veszprémi püspökség: Veszprém, Visegrád, Fehérvár és Kolon esperességével mindig az aranyasszonyok, azaz uralkodónők püspöksége volt és az Istenanyának, Magyarország Aranyasszonyának ajánlották föl. „Ezen türelmetlen bajor írnok-réteg aztán a rovásokkal kevert írásokat és a Sebestyén-Domonkos, valamint a budavári és uruki püspökség levelezéseit és az első okmánytárat teljesen felégette.” 1008 után „az Anasztáz-Asrik-féle egyházszervezés a Domonkos-Sebestyén féle egyházrendet megváltoztatta. Domonkos: „Anasztáz-Vecelin hívei később megmérgezték az első esztergomi érseket, aki bénultan Kurszán várába került. 1010-ig félholt ként gyógyítgatták, majd a főpapi urnáját 1010-ben az esztergomi bazilika altemplomában helyezték el. Halálának oka az volt, hogy nem járult hozzá, hogy Doboka ifjú seregével Erdeljű Gyulát megsemmisítse. "A görög nyelvű, veszprémvölgyi alapítólevelet a kutatók hosszú ideig Szent István korinak tartották. Az alapítólevél bevezetője („Én, István […] egész Hungria királya […] létesítettem […] a szentséges Istenanya veszprémi, érseki monostorát […] a magam, nőm és gyermekeim […] lelki üdvéért”) azonban nehezen értelmezhető Szent Istvánra, mivel bizánci rítusú kolostor alapításáról van szó. Mivel Géza nagyfejedelem keresztény neve is István volt..."
Boleszláv 989-ben eltaszította magától magyar feleségét is, aki ekkor Bezprym nevű gyermekével Magyarországra költözött. A tizedet Magyarországon Szent István vezette be, Koppány legyőzetése után. Miután az egyházmegyéket megszervezte, elrendelte a tizedfizetést országa területén és azt, hogy minden tizedik faluban egy kőtemplom legyen építve. A tized főként a megyés püspököket illette meg. Szent István a II törvénykönyvében a következőt mondta: "Akinek az Isten évente tízet adott, tizedet adjon Istennek." Ugyanitt kifejezte, hogyha valaki a püspöknek elkülönített tizedet meglopja, tolvajnak legyen ítélve. a veszprémi püspökséget Géza (Gyeics) nevezte el keresztfiáról. a németek Stephanus-nak nevezték Gézát is, Vajkot is. 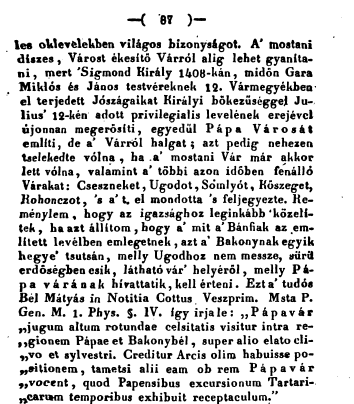 A magyarok közül Ogur, Muronnyal együtt vállalta az avar hon-foglalásban való részvételt (540-580). A nyugtalan Alpár töményvezért 566-ban előkészítették, majd 570-ben útbaindították az első magyar töménnyel. Alpár már 575-ben megnyerte a pusztaszeri Nagy-süánt és ezzel elnyerte Baján legkisebb húgának, Telenának a kezét. Baján halála után ő lett Avaria második fejedelme. Ogur megörökítette, hogy ezen a viadalon Alpár töményvezér lett az első, turulsasos lobogóval, a második Verőce, aranyszarvas zászlóval, harmadik pedig Bakar lett, az avarok aranykecskés vitéze. Kövezsd a magyarok közül 620 és 640 vonult be az Avarbástyára. Ő hozta azt a hírt, hogy a déli hun birodalomból és az arab hittérítés területéről egy kenyérmagot termelő nép vonult be Magyarka térségébe és elárasztották a bolgár-magyar államot is. Tudval 640 és 660 között vette át Kövezsdtől a hatalmat. Kürt fejedelemtől kapta azt az értesítést, hogy a magyar törzs áttért a déliek által meghonosított földművelésre, állatállományukat pedig karámban nevelik. 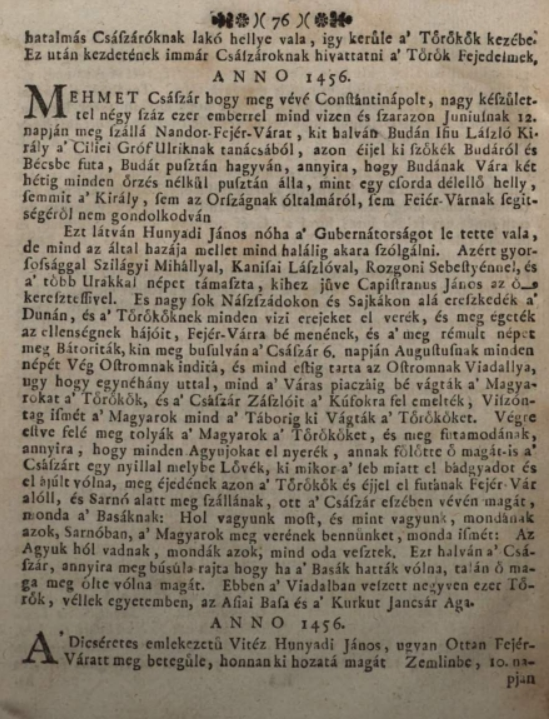 1412-ig minden okiratban Deesvár neve alatt fordul elő, hogy hol és melyik lehetett azon vár, melyről Deesvárnak neveztetett? nehéz bizonyosan meghatározni, mert Deésen és határán négy vár romjait találhatni fel, melyek közől három a Szamos folyóra könyökölő hegyfokon emelkedett, s nézett hajdan szembe a jövő ellenséggel s fedezte a Kolozsvár felé vezető utat. Egyik a Rózsahegyi vár, melynek helyét csillagszegletes sánczolat jelöli, de igen csalódnék, ki ezt Deés-vár sánczainak tartaná, ha nem a sánczon belől ott vannak eltemetve egy régi vár téglái és kövei, melynek kapu-helyét a nép ma is vaskapunak nevezi. Benn a városban a Szamos egy hegyfokot mos, tetején a földhányás-szerü orom, mely a vár alapfalait fedi s melynek neve Óvár. A harmadik a N.-Bánya felé vezető utvonal felett van, ugyancsak hegyormon, itt kőgulák is vannak, neve a hegynek Ciczhegy. 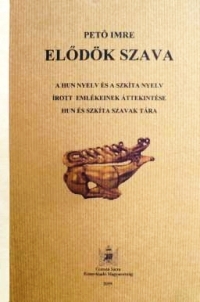 A negyedik váromladék a Ciczhegygyel szemben a Szamoson tuli hegyfoknál van, neve Bélahegy, mely nevét a monda szerint onnan vette, hogy itt a tatárok elől menekült IV. Béla sokáig bolyongott. Heltai azt is mondja, hogy Deésen volt a 7 földvár egyike, melyeket Álmosék az Erdélybeni megpihenéskor emeltek, erről emlékezhetik a városi levéltárban látható okirat, mely rendeli, hogy a megyei tisztek a várban szállásoljanak, s nem a városban. Kürt fejedelem Bat-Bajánra bízta a kenyérmag termelő déli hun-magyar tömegek felvonultatását. Szükség is volt rájuk, mert a szlávok átvonulása sok zavart okozott, az avarok Égi birodalmában, a Jász-síkságon. Tudval uralkodása alatt 630-ban e miatt szakadt háromfelé az avarok birodalma. A Kárpátokon túli részben minden szabad mozgás bizonytalanná vált. Ezért Kürt fejedelem Albéláról fegyveres kíséretet adott a felvonulóknak. 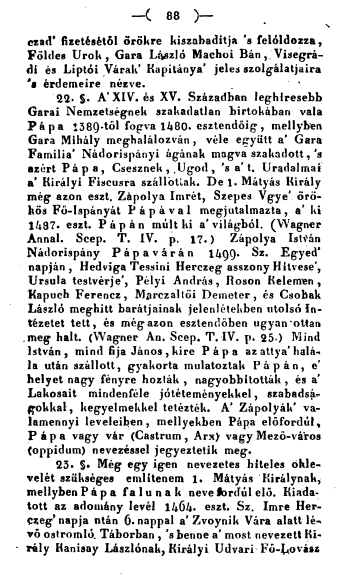 A felvonulás 670-678 között történt. Korpona már 680-700 között átvette Zabarival az Avarbástya beavatott központjában a hatalmat. Az avar birodalom szétesésére Samó árulása vezetett. Az új honfoglalók Tudval püspök tanait vallották és így az uruki-mani hívők kerültek hatalomra. Kotragos ellene volt minden gyilkosságnak. Oposur helytelenítette, hogy a kazárok már Kotragos 700-720 közötti uralma idején elrendelték, hogy a magyari és magyar törzseket az arabok ellen a szélekre telepítsék. Mégis elvállalta Magyarka központtal a fővezérség felállítását. A védelmi vonalat a Fekete-tengertől Magyarkáig a magyari törzsek, Magyarkától a Kaspiros, vagy Kazár-tengerig pedig a magyarok tartották. 755-ben Megyer vitéz halt hősi halált. 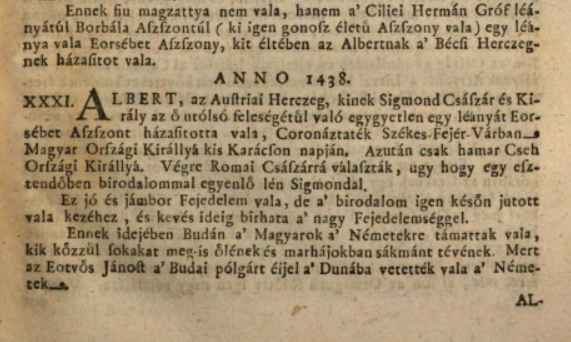 954-ben például Ottó ellen fellázadtak a saját fiai, és Konrád herceg sok más főúrral együtt magyar fejedelmi segítséget kért. Taksony, aki bizánci beállítottságú volt, Béla törzsbeli, Kapgán besenyőkkel kevert Bulcsu, Lehel-Lél és Sur vezette töményt küldött segítségül. Konrádék a Rajnán túlra irányították őket. I. Ottó fiai és Konrád hívei kibékültek a császárral és Augsburgnál döntő vereséget mértek a hazai segítségtől megfosztott magyar haderőre. A vereséget még az is fokozta, hogy a Régensburgba vendégként érkező fejedelmi ifjakat is elfogták. Henrik herceg, a vendéglátójuk bitófára húzatta őket és még pápai átkot is mondatott rájuk. 881 (?) Árpád magára vállalta az Encs-Enns folyóig terjedő államszervezést, Kalágé és Lóbérc visszafoglalását. Árpád tehát Kalágén (Klagenfurton) keresztülhaladva (ahol, amint tudjuk, Bős tudunt meggyilkolták), seregével megjelent Berengár király hadainak közelében. Követeket küldött hozzá és visszakövetelte az elrablott avar kincseket. Berengár főurai ez ellen tiltakoztak. Árpád kabar törzsei erre megtámadták és le is győzték Berengár harcosait. 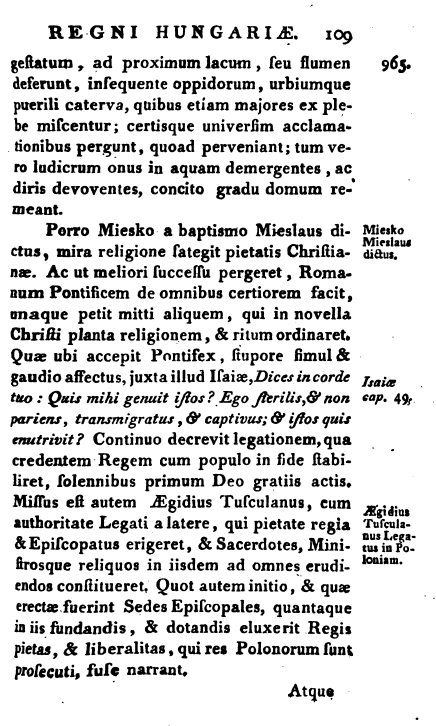 < p>"A besenyõk a nagy folyók miatt csak szakaszosan nyomulhattak elõre. Ez azt jelentette, hogy a Dnyeppertõl keletre lakó magyarok mindenüket hátrahagyva menekültek nyugatra, viszont mennél közelebb lakott egy törzs a Kárpátokhoz, annál több lehetõsége nyílt állatai behajtására. A rendezett elvonulást az hiúsította meg, hogy az Al-Dunán átkelt Simeon cár serege, és oldalba kapta a Havasalföldön át menekülõket. A Fuldai Évkönyvek szerint a "harmadik" bolgár-magyar harc igen kemény és elkeseredett volt; végül is a "keresztények", ti. a bolgárok gyõztek, s ha õk is 20 000 lovast vesztettek, mekkora lehetett a magyarok vesztesége? - írták. erre a Kijev felõl jövõ "fekete magyaroknak" (kabaroknak) ... a Vereckei- és Tatárhágó, a hét törzs népének pedig a Radnai- és Borgói-hágó, valamint a Békás-, Ojtozi és Bodza-szoros kínálkozott. A dél-erdélyi és al-dunai szorosokat nem vehették tömegesen igénybe, s ezt a bolgárok annál is inkább akadályozták, mert Erdély értékes sóbányáival uralmuk alatt volt." Árpád és Kurszán 900 nyarán elküldte követeit az új frank uralkodóhoz, Gyermek Lajoshoz békeajánlattal. A magyar vezérek nyilvánvalóan Pannónia és a morva végek elfoglalásának elismerését kívánták. Minthogy a frank udvar nem volt hajlandó Nagy Károly hódítmányáról lemondani az "új avarok" javára, és a követeket, kémeknek bélyegezve, visszautasította, õsz folyamán a Kisalföldrõl két magyar sereg nyomult Bajorország ellen; a nagyobbik a Duna bal partján, a kisebbik a jobb parton. A déli sereg feldúlta az Ennsen túl fekvõ "Óperenciát", és nagy zsákmánnyal tért haza, az északi csapat viszont november 20-án Luitpold õrgróf és Richar passaui püspök seregétõl vereséget szenvedett. Ekkor kezdték el sietve a bajorok Ennsburg kõvárának kiépítését. 934-970-ig Bolgárországban, Albán- és Gorabánban, Görögországban, valamint Bizánc környékén szedték be az aranyadót. Berény: Elkészíttette az Avaria-Curia-féle nyilvántartást, s annak alapján 899-től 970-ig Bajorországban, 900-tól 950-ig Lombardiában, 937-ig Dél-Itáliában, 955-ig Karoling Franciahonában és Svábországban, 936-tól 938-ig Csehországban, 934-től 970-ig Bulgáriában, 900-tól 948-ig pedig Konstantinápolyban került sor visszaszerző kalandozásra. ...a szászországi hadjáratokban a 924-933 közötti kilenc évi fegyverszünet után 938-ban is. Győztes harcokat vívtak az alánokkal együtt 934-ben Konstantinápolyban, 934 őszén pedig a besenyőkkel együtt Macedóniában. Itt azonban a besenyők egy része átpártolt Bizánchoz és császári testőrök lettek. 814 April 13, 814 While preparing another attack against Byzantines, Khagan Krum (38) bursts a blood vessel and dies. Khagan Omurtag (41) assumes Bulgarian Khan-hood (814-814). Boils rule Bulgaria - Chok (?) (?_?). 840 Destruction of Uygur Orkhon Empire by Kirgizes. End of Uygur leadership of E. Goktürkic Khaganate. 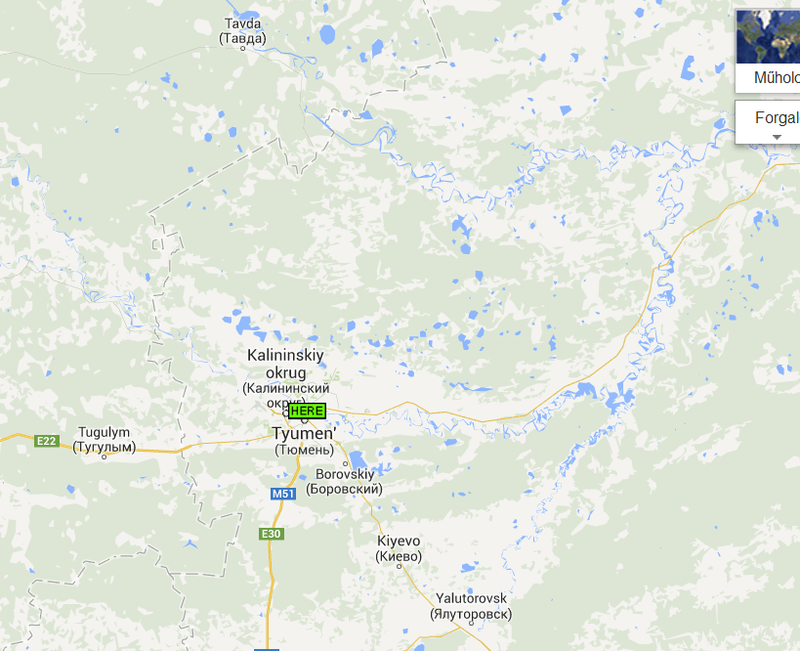 862 Chronist Nestor gives 862 as year of creation of Rus. 865 Khan Barys of Itil Bulgaria beylyk founded by Tat-Ugek, died, and Shilki, Khan of Kara Bulgar with a capital in Baltavar (Poltava) is proclamed Khan of Itil Bulgaria (865-882). 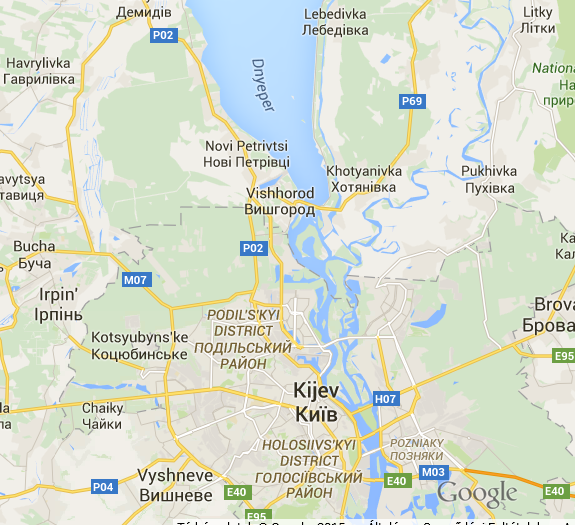 City Bulgar becomes a capital of Itil Bulgaria. 882 Khan Shilki (855-882) died, Bat-Ugyr becomes Khan of Itil Bulgaria (882-895). 882 Khan Alabuga of a Baryn line of Sabans starts a city, named later Bilyar. 895 Bat-Ugyr (882-895) abdicates. Baltavar (Elteber) Almush (Almas), eldest son of Shilki, becomes Khan of Itil Bulgaria, accclamed in city Bulgar (895-925). 899. szeptember 24-én Észak-Itáliában a Brenta folyó partján, a magyarok győzelmet arattak I. Berengár itáliai uralkodó (888–915 között király, 915–924 között császár) számbeli fölényben levő hadereje felett. 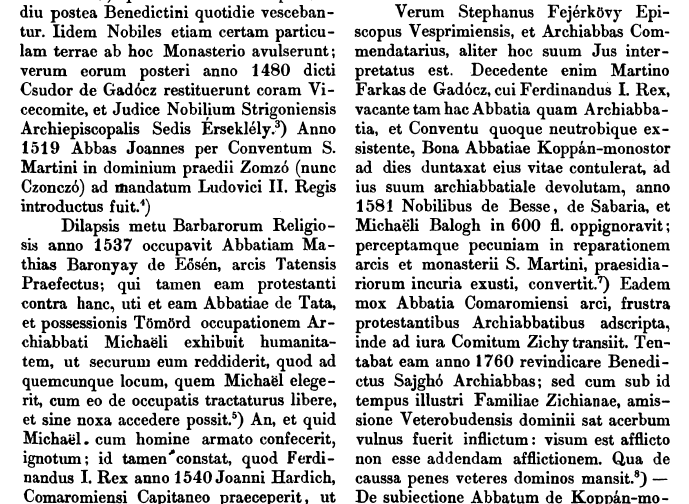 A felkérés Arnulf keleti frank uralkodó (887–896 király, 896–899 császár) részéről jött, aki rokonát, az említett Berengárt akarta megakadályozni a császári méltóság elnyerésében. 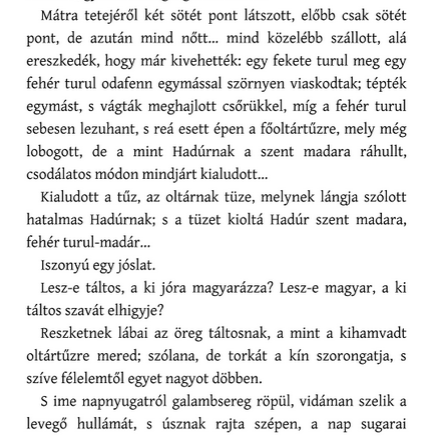 Egész Lombardiát elárasztották, az Alpokig kifosztva és felégetve a településeket. Augusztus–szeptember folyamán Treviso, Vicenza, Verona, Brescia, Bergamo és Milánó környékét dúlták, s egészen Paviáig, az Itáliai Királyság és Berengár fővárosáig nyomultak. Innen a római Via Postumian csakhamar megkezdték a világtörténelem talán legtehetségesebb – szándékos – futását az üldöző Berengár – az itáliai források szerint is a magyarokénál legalább háromszor nagyobb (15 000 főnyinek mondott) közép- és észak-itáliai serege elől. A magyar utóvédet Veronánál megverték, majd a továbbra is páni félelmet mímelő sereg a Via Postumián a mai Cittanova városába vezető hídon átmenekülve megállapodott a Brenta folyó túlpartján. Időközben Berengár király összeszedett 15 000 lovast, melyekkel a magyarok nyomába eredt. A szétszórva fosztogató magyar csapatok az utolsó pillanatban egyesültek, majd mielőtt sikerült volna bekeríteni őket, a Brenta folyó irányába menekültek. A folyón átjutva egyezséget próbáltak kötni üldözőikkel. Berengár azonban biztos volt győzelmében, így nem fogadta el a magyar ajánlatot, mely szerint szabad távozásuk fejében hátrahagyták volna az elrabolt javakat és többé nem támadták volna meg Itáliát. üldözést nem tartotta már sürgősnek, a Brenta mentén pihenőt adott seregének. A lovagi fegyverzetű ellenfél megoldotta fegyverzetét, letette páncélzatát, s gondtalanul étkezéshez fogott. Őseink eközben észrevétlenül bekerítették a táborozó ellenfelet. Három oldalállásból (lesállás) rontottak elő, s a támadást a folyón átkelt sereg is támogatta. A meglepett, védőfegyvereit használni nem tudó ellenség képtelen volt a támadásnak ellenállni. Liutprand szerint a magyarok oly heves rohamban törtek rájuk, hogy egyeseknek a torkukba szegezték az ételt, másokat futás közben öltek meg, miután lovaikat elvették. Ezt követően a magyar sereg a Pó-síkságon töltötte 899/900 telét. Van olyan kutató, aki ezt egy tartós berendezkedés kezdetének tartja, de az áttelelésen kívül más érvet nem tudtak ennek bizonyítására felhozni. 900 nyarán került sor egy színes epizódra, Velence megtámadására. A Rialtóra bőrtömlők segítségével beúsztató magyar harcosokat Péter dózse csak hajóhadának bevetésével tudta feltartóztatni. A magyar vezetők célja Itáliában a rendszeres évi adófizetés kikényszerítése volt. 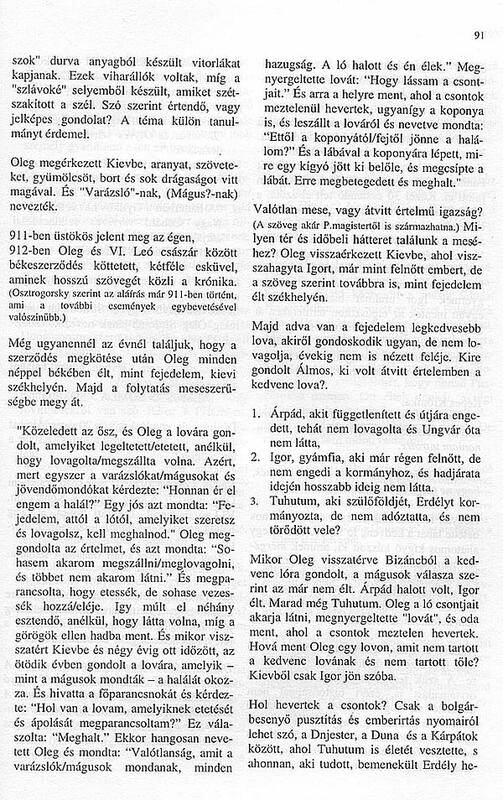 Ezt a célt valóra is váltották. Berengár király "túszok és ajándékok adásával" rávette a magyarokat országa elhagyására. Ab Ungerorum nos defendas iaculis. Servi pro vestris implorantes dominum. Az ég királya kegyéből elkerüljük. Védj meg minket a magyarok nyilaitól! Hogy irgalomért esedezzél az úrhoz. A Berengárral szövetségben levő város egyik fia, Orseolo vezette a király legnagyobb seregét, s nyilván a megtorlás is egyik célja volt a zsákmányszerzés mellett a támadásnak. A mai Rialto és környékén elterülő, akkor kb. 30.000 lakosú Velence városát a tenger felől övező szigetsoron át akarták megközelíteni, hogy onnan, a legközelebbről, zsákmányolt bárkák, hajók felhasználásával és bőrtömlők segítségével a szokásos úsztatással jussanak el a város szívébe. Először északról, a lovas-part, a mai Littorale del Cavallinon törtek előre, több községet, köztük Finist feldúlták, majd úgy ítélték meg, hogy a másik irány a kedvezőbb és akkor megkerülve a velencei öblöt, dél felől, a Brenta torkolatvidékén át, Chioggán keresztül hatoltak be a szigetekre. Az útjukba eső vízi (tengeri) akadályokon átkelve a mai Pellestrina-i partokon Cloia, Albiola területéig jutottak. A mai Malamocco kikötőjénél a partokon éppen megkezdték az átkelést, hogy Velence akkori védőbástyáját, a megerősített Malamoc-cot elfoglalják, midőn a város felől a tengeren megjelent a nehezen összetoborzott velencei polgárokkal a város tengeri gályáinak hada és ezek elől a bőrrel leborított kis hajókkal és az úsztató lovakkal nem vehették fel a harcot. A Pietro Tribuno által vezetett, magas oldalú evezőshajókkal fölényben lévő dózse elől minden különösebb küzdelem nélkül visszavonultak az eddig megtett úton. Ezután az ostromló lovasok délen Adria városáig hatoltak, s onnan bevonultak a Brenta menti központi táborukba. Ez a hadivállalkozás, a vakmerő velencei kaland a 900-ik év június 29-én, Péter-Pál napján történt, s a velenceiek azt a helyet, ahol a támadókat visszavonulásra kényszerítették, San Pietro in Volta néven tisztelik mind a mai napig, arra emlékezve, hogy Szt. Péter napján és Pietro Tribuno dózse vezetése alatt történt mindez. A harcok után, 904-ben szövetségre léptek Berengár olasz királlyal és a 924. évig fegyveresen is többször támogatták országegyesítő törekvéseiben. Mindezt becsülettel megtehették, mert a velük szövetséges Arnulf császár halála után (899. XII. 8.) utóda, Gyermek Lajos felbontotta a szövetséget, sőt a szövetség folytatása céljából odaküldött követeiket is bebörtönözte. 894 tavaszán a magyarok a bizánciak oldalán, az ő hívásukra bekapcsolódtak a bolgár-bizánci konfliktusba. Bizánci részről az előzmény az volt, hogy Simeon bolgár uralkodó gazdasági, kereskedelmi viták miatt megtámadta a bizánciakat, akiknek fő serege ekkor Kis-Ázsiában az arabok ellen harcolt. Emiatt a bizánciak súlyos vereséget szenvedtek, majd szövetséget kötöttek a magyarokkal, s a Dunán bolgár földre szállították át a magyar csapatokat. A hadműveletet Árpád legidősebb fia Levente vezette, és két összecsapásban is jelentős győzelmet aratott. Ám ekkor nagy fordulat következett be. A bizánciak az átmeneti sikerek hatására békét kötöttek a bolgárokkal és kiszállva a harcokból, a segítségül hívott magyarokat magukra hagyták. e nem várt fordulat nehéz helyzetbe hozta Leventét, de különösen a Duna déli oldalán harcoló Jenő csapatait. A bizánci cserbenhagyás ellenére mindenképpen folytatni kellett a harcot, hiszen a magyarok célja, a Kárpát medence birtokbavétele eddigre még nem teljesült. Az áttelepülők pedig könnyű prédát jelentettek volna a bolgár csapatoknak. A bizánciak kiválása miatt megváltozott erőviszonyok ellenére Levente hősiesen megvívta harcát. Súlyos veszteségek árán ugyan, de feladatukat teljesítették, feltartották a Kárpátokon kívüli bolgárokat. A Kárpátokon belüli bolgárokkal pedig a keleti szorosokon bevonuló harcosok küzdöttek meg. Az utolsó, győztes csatájukat Szernél, a mai Ópusztaszernél vívták meg. 917 Ebben az évben indítottak a magyarok hosszabb idő után újra hadjáratot a Balkánra. I. Simeon bolgár cár szövetségeseként részt vettek annak Bizánc elleni háborújában és győzelmet arattak ellenük Ankialosz mellett. 943. Ismét két irányba indul hadjárat. A déli irányú támadás során a magyarok a Bizánci Birodalom területén pusztítottak, majd öt évre szóló békét kötöttek Theophanész patrikiosszal. A nyugat felé támadó magyar sereget Bertold bajor herceg Wels városánál megállította és legyőzte. A magyarok hadjáratot indítottak Bizánc ellen és április 11-én a város falai alatt álltak Apor vezetésével. Ennek a hadjáratnak az emlékét őrizhette meg a Botond-monda. Eszerint a hadjárat sikertelen volt. A pontos történteket Theophanész 963-ban készült világkrónikája mondja el, miszerint a Thrákiát végigrabló, Bizáncig száguldó magyarokat egy éjjel a táborukra törve támadta meg egy bizánci sereg, szétverte és a zsákmányuktól megfosztotta őket. A Bizánc területére behatolt haderő ismét egy éjszakai támadás során szenvedett vereséget. Doboka kinevezését Anasztáz is helyeselte, de Erős Csák megbüntetését kérte, mert Vecelin halála miatt az élősdi nyugati lovagok közt gyanús mozgolódás folyik. István nem térhetett ki a javaslat megvitatása elől és az öregedő főurat Budavár beavatott központjába kérette, hogy ott döntsenek a továbbiak felől. A megbénult Domonkos mozogni nem tudott ugyan, de beszélni annál inkább okosabban. 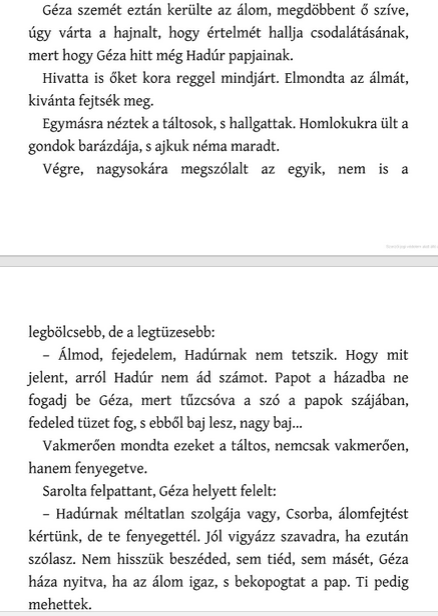 Azzal érvelt, hogy Erős Csák vitézi párviadalon ölte meg Vecelint, ezért nem zárhatja el, csak az ősi törvények szerint fogságra lehet korlátozni. Így is lett, a legfelsőbb tanács Budavár és Avarbástya egyetértésével örökös fogságra ítélte. Ez azt jelentette, hogy a nagy Csákvár birodalma területét holtáig nem hagyhatta el. Vecelin megjegyzéseit, mely szerint 973-ban a mainzi érsekségben helyet foglalt 12 magyar főúr helyett, 12 magyar főurat itt kell kivégezni, hogy gazdaságilag és hitbelileg hűbéresként kezelhessék az országot. Össze is állították a kivégzendők névsorát. Koppány tárkányfejedelemmel kezdték. Az agg Koppányt már csak azért sem lett volna szabad ilyen sorsra szánni, mert megjelent a nyugati fejedelmi tanácskozáson. 996-ban kivégezték Tonuzabát is a feleségével együtt, Saruda aranyasszonnyal, pedig ők is megjelentek Nyugaton. (Saruda volt az, aki a 48 főnyi csoportot élelmezte.) A mainzi érsekségnek sehogy se tetszett a mindig készenlétben álló besenyő vezérek harciassága. Ezért sorra meggyilkoltatta Jirkó alvezéreit: Radnát, Zsibót, Pesterét, Siriát, Doboka-Bőt és Koluzst. A kivégzettek száma ezzel 9-re emelkedett. Amikor Ajtony ellen már indulóban volt a sereg, Sebestyén még akkor is mindent megtett az összeütközés elkerülése végett. Domonkos megbénítása után most ezt a Sebestyént tették félre. Mindezt azért, hogy a meggyilkoltak országrészét a római egyház vehesse tulajdonba. Doboka után a fia, Csanád lett a fővezér. 953-ban Liudolf és Konrád, Frigyes mainzi érsek támogatásával, felkelést támasztottak ellene. A lázadók 954-ben még a magyarokat is segítségül hívták. A magyarok már öt éve hiányolták a zsákmány, valamint az adóztatás felújítása reményében Bulcsú harka vezetésével küldtek sereget. A lázadó hercegek az utolsó pillanatban meggondolták magukat, s Bulcsút a Rajnán túlra irányították, maguk pedig behódoltak a királynak. A két herceget és Frigyest Ottó megfosztotta méltóságától: Lotharingiát Bruno kölni érsek kapta meg, a Sváb hercegséget pedig II. Burchard. E méltóságok számát a keleti térítések nyomán 948-ban alapított új püspökségekkel (Brandenburg, Meissen, Merseburg stb.) és egy új érsekséggel (968: Magdeburg) is gyarapította. I. Ottó német királyt itt koronázzák és 973-ban is itt temetik el. Ottó a keleti kereskedés központját, a rabszolgapiacáról ismert Magdeburg városát ajándékozta nászajándékul újdonsült asszonyának. 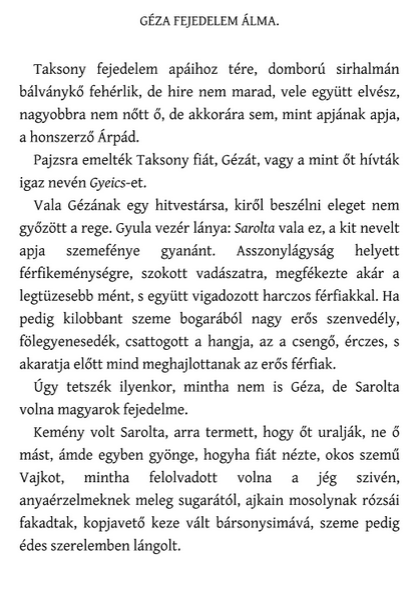 A szlávok elleni háború Gero őrgróf vezetésével ezután is szinte folyamatosan tartott, Ottó többször személyesen – mint például 939-ben – hadba szállt ellenük. 973-ban megrendezett Quedlinburgi Birodalmi Gyűlésen Ottó előtt szinte minden európai állam – Bizánc, Bulgária, Dánia, a Kijevi Rusz, Csehország, Lengyelország – uralkodójának küldöttsége megjelent, és kifejezte hódolatát. Még a pogány magyarok fejedelme, Géza is – aki 971-ben papokat kért a császártól, hogy elterjeszthesse a keresztény hitet országában – ideküldi követeit. Géza kíséretének tagjairól hallgatnak a források, nem ismerjük annak a 12 főembernek a nevét sem, akiket 973-ban a quedlinburgi birodalmi gyűlésre küldött. Csak a krónikák egy-két utalásából ismerünk néhány nevet, mint pl. az Ond vezértől származó Bár–Kalán nemzetség Géza-kori tagjait, Kalánt, Beledet és Kajánt. Gelyza megnyitó beszédében hangsúlyozta, hogy mivel Bizánc és Róma császári házai összeházasodtak, akár Nyugat, akár Kelet felé fordulunk, mind a két keresztény egyház csak örülni fog, a nagyrészt uruki kereszténység megnyerésének. 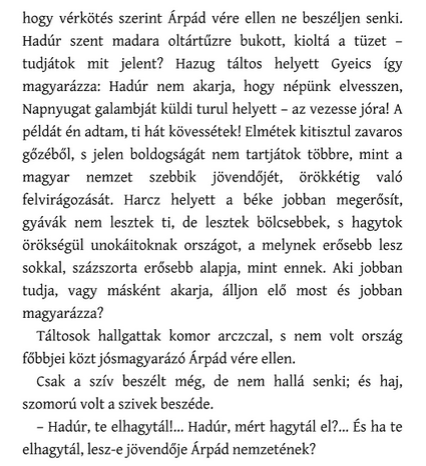 De számolni kell azzal is, hogy Nyugatnak tizedet kell majd fizetni. Keleten viszont az eltótosodott bolgársággal lesz bajunk. De hát elég gazdagok vagyunk ahhoz, hogy akár a nyugati, akár a keleti jármot a nyakunkba vegyük. Mert mind a kettő magának akar meghódítani. Nyugatról a németek, Keletről és Délről a tótok fognak téríteni. A mainzi értekezleten létrejött megállapodás csak a lovaskiképzés csökkentésére és csupán a Csörsz-vonalra vonatkozott. Ennek a végrehajtását Bruno és a papjai ellenőrizték. Kipcsák és Csatári aranyasszony lovasseregét ez nem érintette. Ők Boja és Bonyha vezetésével mindig rendelkezésére állottak a magyar törzsszövetségnek, a Jirkó vezette kun-ogúz-magyari lovasok is. Ezen felül veszély esetén voltak rejtett tartalékok. Bár a 992. évi Nagyszala úgy döntött, hogy az Encs-Ibos-Karatán-Bécs közötti Avaria papjainak nagy többsége a kiképzésre Mainzba küldött hazai fiatalságból fog kikerülni, Bizánc miatt ezt a területet az avar keresztény papok mellett a bajor hittérítőknek engedték át. Az Ilmod patakocska és Guratanus (Gyertyános?) erdő közötti "remeteségben" élő Regwes (Regős?) nevű magányos öregtől elkobozott egy könyvet: "az istentelen manicheista" és a vádlott által "legenda Elexi"-nek nevezett "ismeretlen betűkkel" rótt írást (249)Később látni fogjuk, mekkora jelentősége van a "manicheista" jelzőnek és még inkább a "legenda Elexi" könyvnek, amely őseink Kaukázusból magukkal hozott legendacsoportjának egy része (250). bilitatus atque sepulcro et insigni ecclesia. Alexander the Great, Josephus said, had locked these horse-riding barbarians of the far north behind the Caucasus mountains with iron gates. 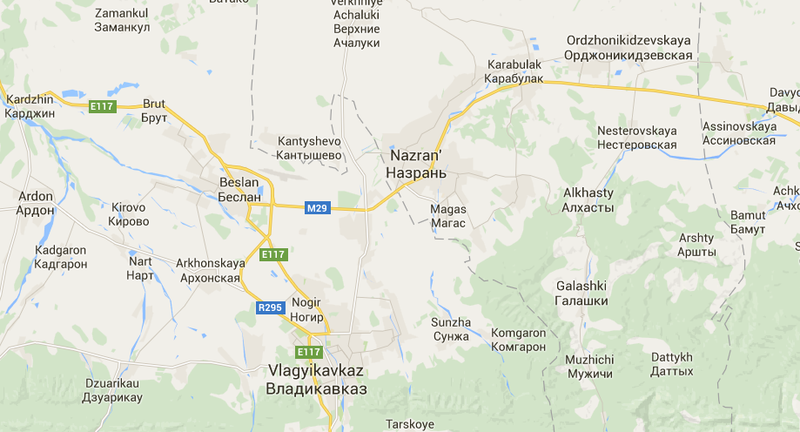 [25 ] The Gates of Alexander are situated in Georgia, near the Russian border in the Caucasus mountains. 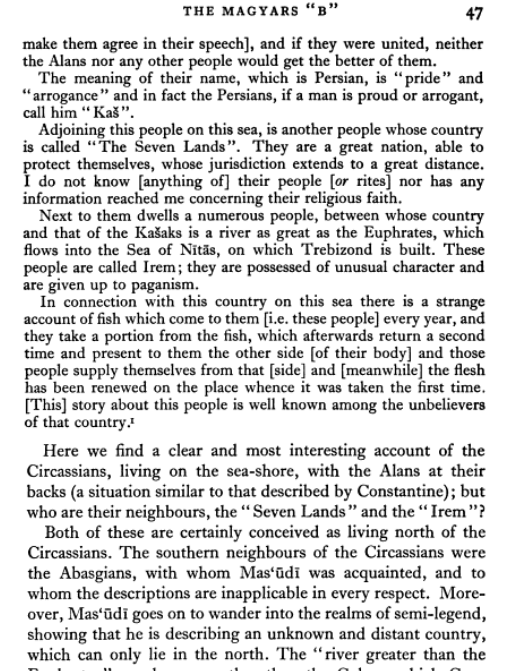 Georgian kings were mentioned as guards of the Gog and Magog gate in various historical sources, both antique and Medieval. 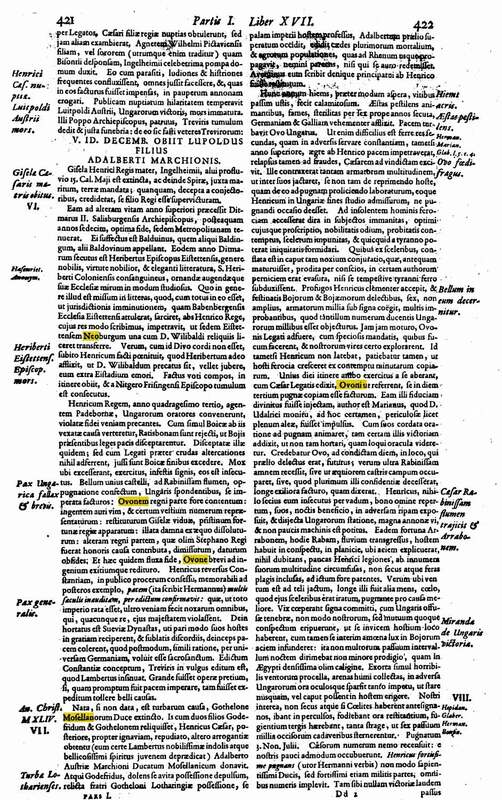 the Greeks called Scythia Magogia (Ant., bk. I, 6). 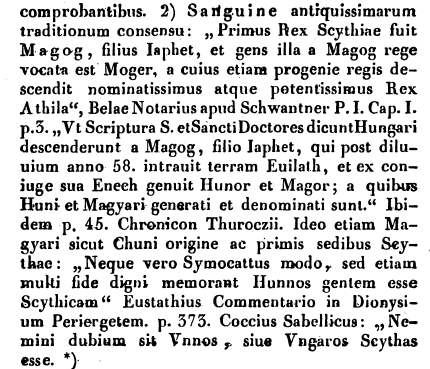 An alternate identification derived from an examination of the order in which tribal names are listed in Ezekiel 38, "would place Magog between Cappadocia and Media." The Diocese of Merseburg, which had been established by Emperor Otto I in 968 to commemorate his victory against the pagan Hungarians at the Battle of Lechfeld in 955. Established to conduct missionary work among the pagan Slavs, the Diocese was all but abandoned in 983 following a major Slavic revolt against Imperial rule. 1016-ban Henrik, I. István magyar király és I. Jaroszláv kijevi nagyfejedelem részvételével koalíció alakult ellene. Az 1017-ben három oldalról meginduló támadás végre elhozta az 1003 óta tartó lengyel–német háborúskodás végét. VIII. Benedek pápa a bizánciak elől Henrikhez menekült. 1020-ban Bambergben találkoztak, itt Benedek felszentelte az új katedrálist, és a pápa Henrik segítségét kérte egy dél-itáliai hadjárathoz. 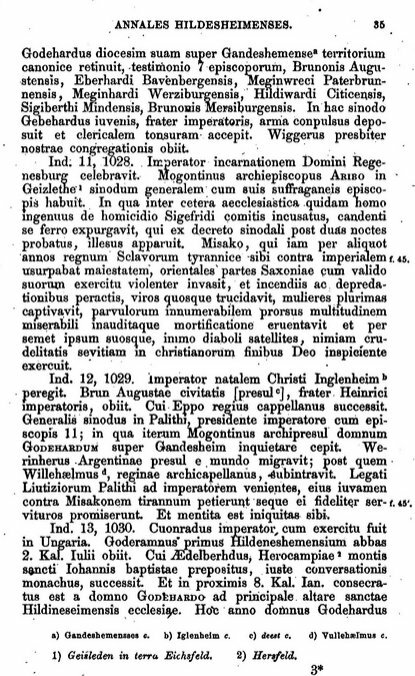 A császár harmadszorra is Itáliába indult (1021–1022). 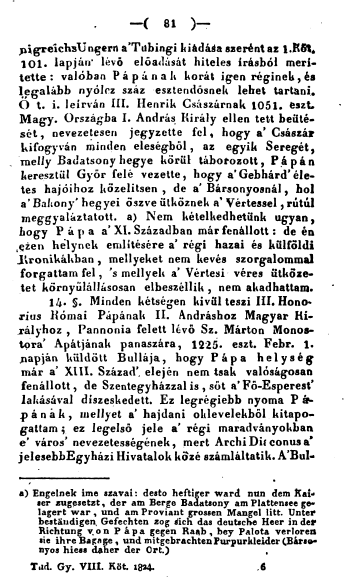 Az 1022-ben megtartott páviai zsinaton a pápa Henrikkel egyetértésen szigorú intézkedéseket tett a cölibátus (papi nőtlenség) védelmére. A zsinatot II. Róberttel együtt szervezte meg a császár. Following the death of the childish King Rudolph III of Burgundy in 1032, Conrad claimed dominion over the Kingdom of Arles and incorporated it into the Empire. The three kingdoms (Germany, Italy, and Burgundy) formed the basis of the Empire as the "royal triad" (regna tria). 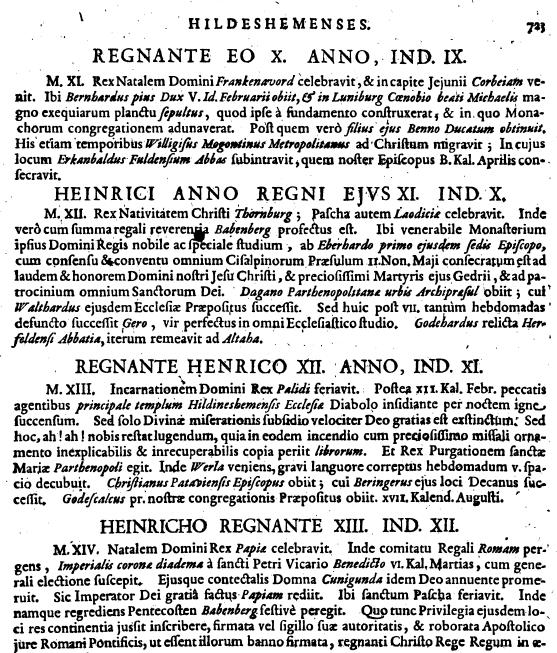 In 1016, Emepror Henry II forced the childless Burgundian King Rudolph III to name him as his heir. 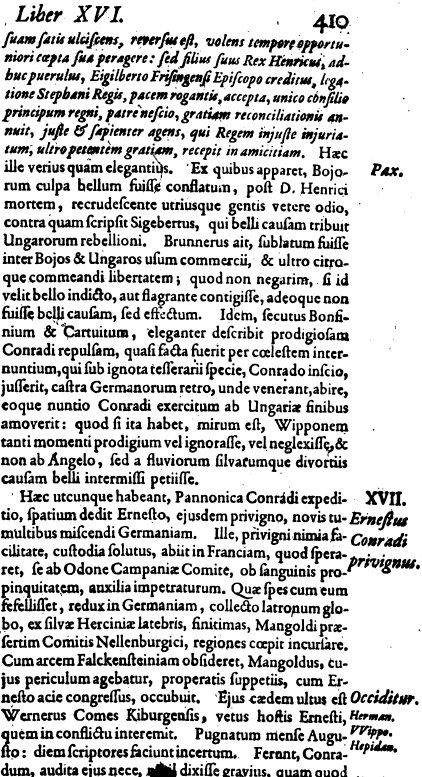 With Henry's death in 1024, Conrad claimed the same rights over Burgundy. third marriage, in 1016 or 1017, was to Conrad, who became Emperor in 1027. Aribo, Archbishop of Mainz refused to crown her, because he stated Gisela and Conrad were too closely related. In February 1026, Conrad assembled an army of thousands of armored knights for an expedition into Italy, including troops commanded by both Archbishop Aribo of Mainz and Archbishop Pilgrim of Cologne. Conrad's army marched south an besieged Pavia, but the city walls blocked the attackers. Conrad decided to leave a contingent of soldiers to keep the city under siege, blocking all trade in the area, and continued his campaign. 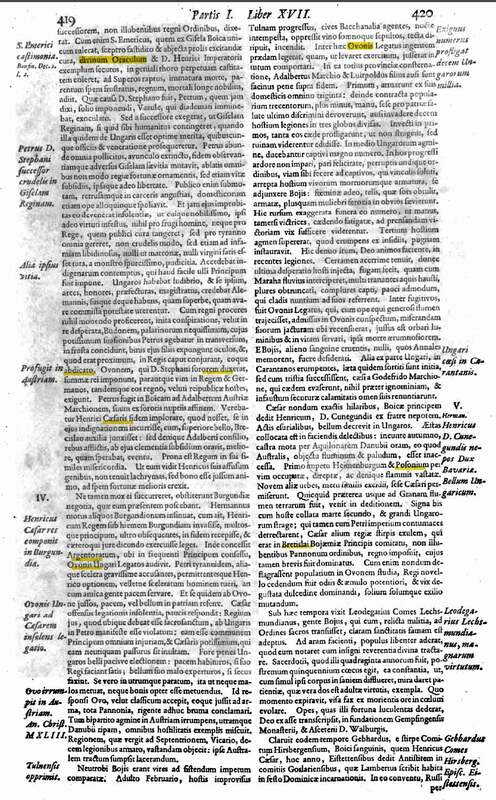 On April 6, 1027, at a synod held in the Lateran Basilica with Pope John XIX, the Emperor resolved the disputed in favor of Old-Aquileia. At a synod in Frankfurt in September 1027 at which Conrad attempted to resolve the decades' long Gandersheim Conflict, Adalbero accompanied the Emperor and acted as his sword-bearer during the proceeding, indicating Conrad's trust in him. from 1028 on, Adalbero governed his Duchy as an independent state. 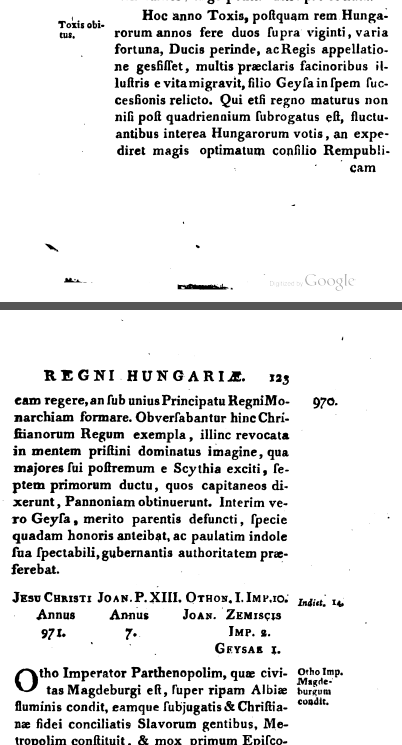 In particular, he attempted to conduct peaceful relations with the King Stephen I of the Kingdom of Hungary. 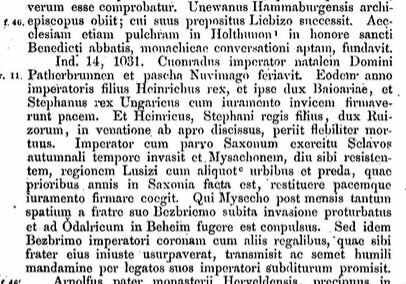 Under Emperor Henry II, who was the brother-in-law to Stephen, relations between the Empire and Hungary had been friendly. Upon Henry's death in 1024, Conrad adopted a more aggressive policy, prompting border raids into the Empire from Hungary. 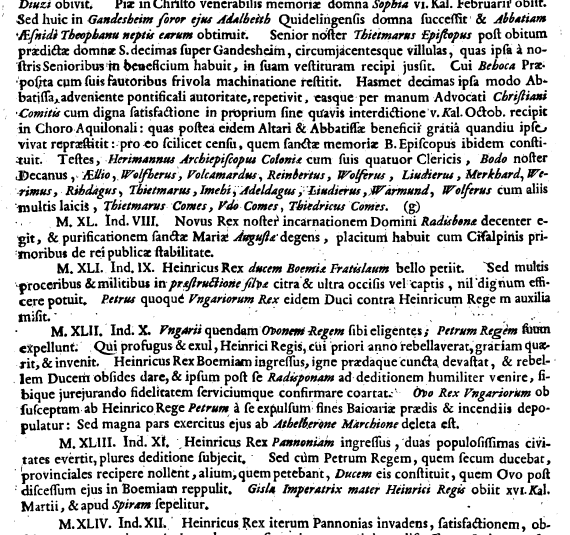 Conrad summoned Adalbero to court at Bamberg on May 18, 1035, to answer an indictment of treason for his actions regarding Hungary. 2 September 1031, at age 24, Emeric was killed by a boar while hunting. It is assumed that this happened in Hegyközszentimre (presently Sântimreu, Romania). Szent-Gellért hiányzik a listáról, mint Csanád első episcopus-a? kisebb jelentőségű összecsapások sem történtek. Istvánról - új, kéretlen címmel ruházva fel a szent királyt -, hogy országalapító. (…)” (Anonymus 1200 k./1975, 92.). Cirill püspök bátyja, Metód, Konstantinápolyba utazott. Útközben esett meg vele ez a találkozás. Dezső: Az Árpádok nyomában. 1977, 113-114.). Koppány és Vecelin csatája /Veszprém, Farkashegy/ 998. Árpád nembéli rokona, apja, Gelyza fejedelem unokatestvére ellen. "Institutio morum ad Emericum ducem - Erkölcsi intelmek Imre herceghez"
származhatott volna: a lengyel, horvát és görög uralkodóházat, írásos emlék erről nem maradt fenn. hazánkban tárgyalt a béke feltételeiről. ezennel utódjává és a magyarok királyává nyilvánít. gyorsfutárt küldött a nyitrai börtönbe, s a láncravert Vazult a királyné parancsára megvakították. majd a vérző, borzalmasan megcsonkított Vazult a király elé vezette. követét, kiszúrta Vazul szemét, fülkagylóiba ólmot öntött - és Bohemiába menekült. rályhoz vezette.” (Képes Krónika 1360 k./1986, 92.). Az Avar Birodalom 805-ben megszünt. A langobard és frank forrásokban 806-ban szerepel utoljára Avaria neve. Utolsó uralkodója Theodorus, illetve török és bolgár kutatók szerint Kajd a Dunántúl nyugati területére menekülve elhunyt. Az avarok népének széthullása a Krum bolgár kán csapataitól való megsemmisítő vereség következménye volt. Krum bolgár kán győzelme után hódoltatta az avarok szövetséges (csatlós) népeit is, amit ma is még meglévő települések nevei bizonyítanak. Ilyenek a Kárpát-medence északkeleti területére települt ungaroknál (onogurok) Köröm, a nyugati területen a konyoknál Rum, nyugatabbra a vengereknél Krumau am Kamp és Krumbach (ma Ausztria), Moravský Krumlov és Krumvíř, a cseheknél Český Krumlov (ma Csehország). 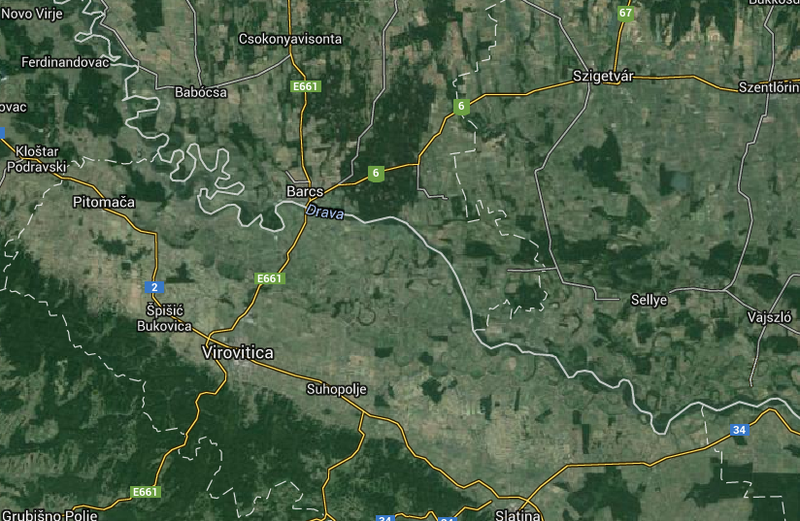 A 8. századra az avarok kisebbik vezető népe a konyok (heftalita, vagy fehér hunok) már beolvadtak a vengerekbe. Ezt valószínűsíti, hogy az ismert avar vallási vezető Bokolabra* családja lehetett a vezetőjük. Az uralkodó avar, kony és ungar népek valószínűleg különböző török nyelvet beszéltek és ezek voltak 805-ig a hivatalos nyelvek, de utána már a többségi – a mai magyar elődjét beszélő – népesség nyelve lett az általános. Vallásukra abból az esküből vonhatunk következtetést, melyet Baján khagán tett, aki kivont karddal az égre, tűzre, földre és vízre esküdött. Voltak papjaik is, kiknek «bokolabra» volt a nevük. Bálványokat is tiszteltek. Bokolabra, bu formun ilk kısmını üstad Hunfaluu, Türkçe Buki kelimesiyle karşılaştırdı.Avarlar'm Türk soylu olduğunu açıkça onayladı. A venger népesség többsége is keresztény volt. 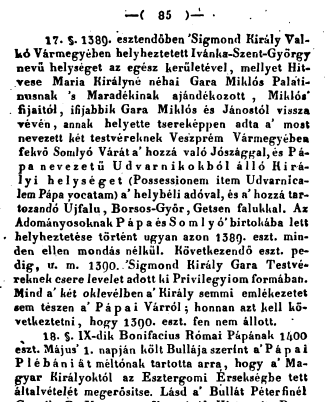 Már 796-ban II. Paulinus aquilieai pátriárka és Arn salzburgi püspök úgy döntenek a Pippin vezette frank hódító sereg táborában, hogy csak azokat kell megkeresztelni, akik esetében ez nem biztos, a többieket csak kézrátételben kell részesíteni. Ábrahám kagán-király, valószínűleg családjában az Ábrán(y) nevet kapta. A róla elnevezett települések között nem csak az Ábrahám, hanem az Ábrány név is szerepel (Bükkábrány, Nyírábrány). 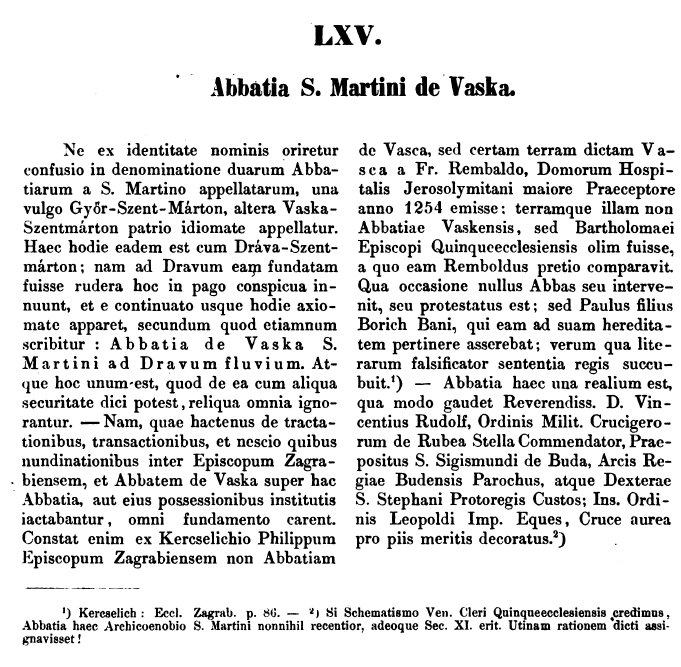 Ábrahámkéthida, Turócábrahámfalva (ma Abramová, Szlovákia), Ábrahám, volt Szentábrahám (ma Abrahám, Szlovákia), Ábrahámhegy, Szentábrahám (ma Ráckeve), Ábrahámpikfalva (ma Abrahámovce, Szlovákia), Ábrány (ma Abranovce, Szlovákia), Ábrahámfalva (ma Abrahámovce, Szlovákia), Bükkábrány, Ibrány, Nyírábrány, Ábrány (ma Hódmezővásárhely), Vedresábrány (ma Abrămuţ, Románia), Érábrány (ma Abram, Románia), Ábránka ( ma Abranka, Ukrajna), Nagyábránka (ma Lokity, Ukrajna), Kisábránka (ma Smolohovicja, Ukrajna), Szentábrahám (ma Avrămeşti, Románia ), Ábránfalva (ma Obraneşti, Románia). A nevekből kiderül, hogy Ábrahám kagán-királyt szentként tisztelték. Az Aba és a Csolt nemzetséghez tartozó családoknál gyakori keresztnév volt az Ábrahám és az Izsák, míg a székelyeknél vezeték és keresztnévként is az Ábrahám. Ezek a település nevek Wang, illetve Weng kezdetűek és környékükön ma is sok ezer Wenger nevű ember él. 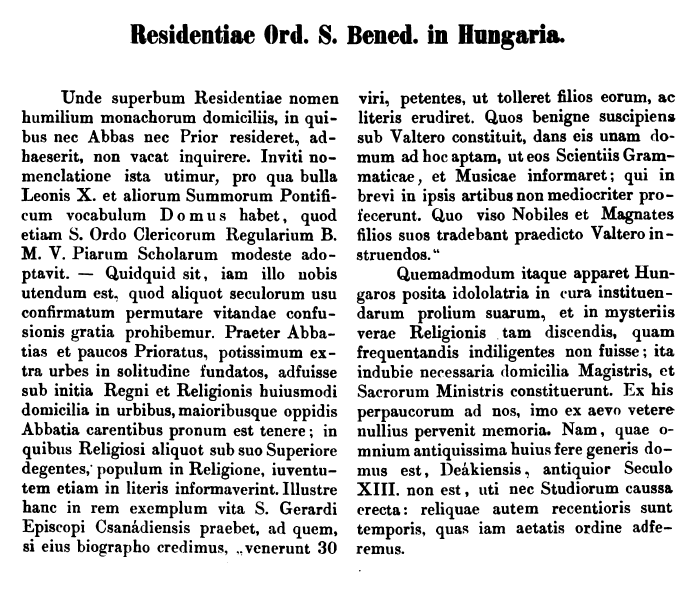 Az első ismert ilyen név St. Gallenben a Wanger(us), mint személynév 812-ben jelenik meg. Ábrahám kagán-király a volt avar központ közelébe a Tiszántúlra tette át székhelyét és a bolgárok mellé egy alkirályt neveztek ki, akit nemzetisége után nándornak hívtak, ebből alakult ki a nádori intézmény. Az áttelepüléskor megfigyelhető, hogy a régi nevet meghagyva egy „a”, illetve „e” képzőt tettek hozzá Baran(ma Brno, Csehország)→Baranya, Tuln(ma Tulln, Ausztria)→Tolna, Kony→Konya, Bécs→Becse, Pét→Pete( ma Petea, Románia). 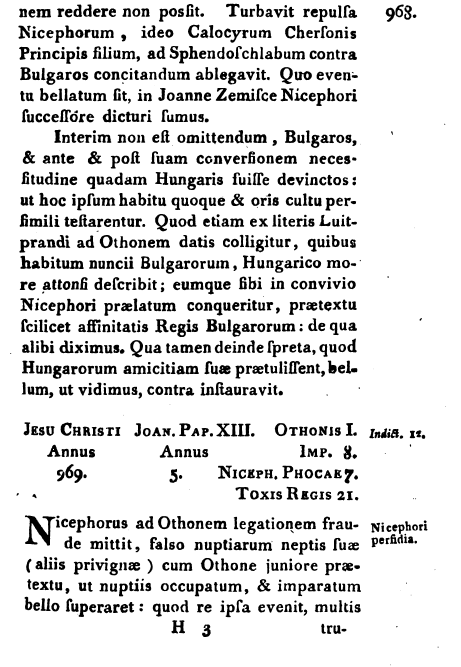 904 Louis the Child invited Kurszán and his entourage to negotiate at the river Fischa. All were murdered there. Meotiszban egy kaukázus-turanid fajú Dentu-Magyaria és tőle észak-északkeletre egy kelet-balti fajú “Lebedia” egy és ugyanabban az időben? a egyiknek, a meotiszi Dentu-Magyariának központi törzse a Megyer és a feje Álmos, a másiknak, a Donec-Don közén elterülő kazár vazallus-tartománynak, pedig egy a kazár kormányzat által kinevezett tisztviselő, a kende volt a 9. század második felében. Az egyik, Dentu-Magyaria szabir volt, a másik, Lebedia, onogur. Megmagyarázza, hogy miért kellett a kazároknak az Alsó-Don Meotisszal szembeni vonalát 834-ben egy erődrendszerrel megerősíteni. Megmagyarázza Vernadskynak azt az állítását, hogy Kievet Álmos építtette 840-ben. Megvilágítja Dentu-Magyaria “Magyaria” nevét, megmagyarázza, hogy miért volt az, hogy őseink egykoron “non Turcae, sed Sabartoeasphali dicebantur” és megmagyarázza, hogy a “Magyar” elnevezés olyan gyakran előfordul a Kaukázustól délre elterült egykori Szabiriában. Dentu-Magyaria független szabir állam. Lebedia kazár főuralom alatt álló onogur határőrvidék. A két nép fajilag is, nyelvileg is különbözik, csak egyben azonosak, mind a kettő turáni. A határőrvidék Kr. u. 680 körül jön létre, mikor a győztes kazárok ide szorítják ki a legyőzött Bat-baján megtépázott törzseinek egy részét s ezt a határőrvidéket majd csak 100 évvel később kezdik Lebediának hívni, a- szomszédok. Dentu-magyariát két emberöltővel később, az Abbaszida imperializmus arab nyomása elől ideszoruló szabirok alapítják, mégpedig a kazároktól függetlenül és az alatt a másfél évszázad alatt, amíg fennáll, soha kazár fennhatóság alatt nincs. Ellenkezőleg, a kazár birodalom hadilábon áll velük. Dentu-Magyaria hadereje nem szolgál a kazár hadseregben. 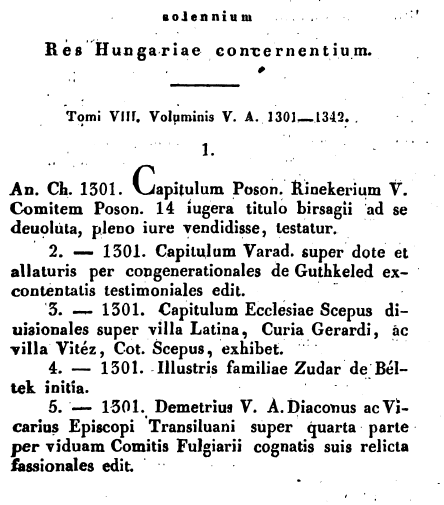 Dentu-Magyaria hadereje önálló háborúkat vív, 839-ben pl. az Aldunánál, 860-ban Krímben, 862-ben a Kárpátmedencében, amint erről Hinkmár érsek értesít. Ennek a politikai képletnek a vezető törzse a Megyer törzs, ettől veszi a nevét Dentu-”Magyaria” és ennek fejedelme az ország utolsó évtizedeiben Ügek fia, Álmos. A “vérszerződés” minden kétséget kizáróan különböző fajú törzsek egyesülése volt, ez sine qua non-ja egy vérszerződésnek. egy másik csata a Lech-nél 200 évvel korábban, amelyik nem történt meg? permissus, neque provincia, quam tenebat, ulterius duci, sed comitibus ad regendum commissa est. a bolgár főerőket távoltartva, birtokba vették a Kárpát-medence egész területét. 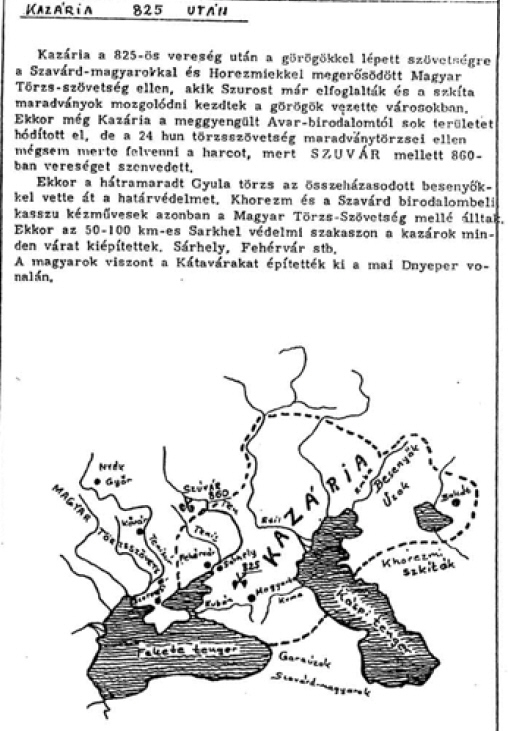 a hűbéri viszályban Berengár itáliai király háromszoros túlerejű seregét legyőzték és másfél évig ott, távol tartózkodtak. 5) 902 és 906 között az ellenük irányuló morva-frank szövetségkötés miatt megtámadták és elfoglalták Morvaországot. újból győztek és a gyepű nyugati határát a Felső- (Ober-) Ennsig kiterjesztették. Ez a helyzet 955-ig fennállott. Lényegében a honfoglalás katonai része 907-ben ért véget. szövetségi ajánlat megtételekor következett be. Árpád már régen várt erre a pillanatra és tervét azonnal megalkotta. át és elfoglalta a Dunától keletre eső területeket. azonban, Árpád utasításai szerint, nagy áldozatok árán, de távoltartotta az ellenséget Erdélytől. beavatkozást kért, Árpád ennek jelentőségét azonnal felismerve, rögtön elfogadta. hogy az újoncokat kiképezte, a fegyvereket élesítette, rendbe hozta és előkészítette a felszerelést, gyűjtötte a tartalékélelmet…"
10. Liudprand: Antapodosis. In: A magyar honfoglalás kútfõi. azonban helyes, megvalósítható és reális volt. Számolt a való helyzettel, a fennálló viszonyokkal és körülményekkel. távoltarthatja az ország határaitól ellenfeleit. is eleget tettek a nyugatra indított támadások. Itáliából csapatait és 900. év őszén bevetette őket dél felől a Dráván át, a kétoldali támadásba. Árpád személyes hadvezetése, hadművészete a 907. évi, túlerejű, nagy német támadás elhárításában csillant föl utoljára. nincsenek, de ő vezette, irányította a fő harcokat. Ez volt azonban az utolsó hadvezéri cselekedete, a 907. évben meghalt. Lehet, hogy a csatamezőn, de erről pontos értesülésekkel nem rendelkezünk. Oldalt eddig 3068551 alkalommal keresték fel.